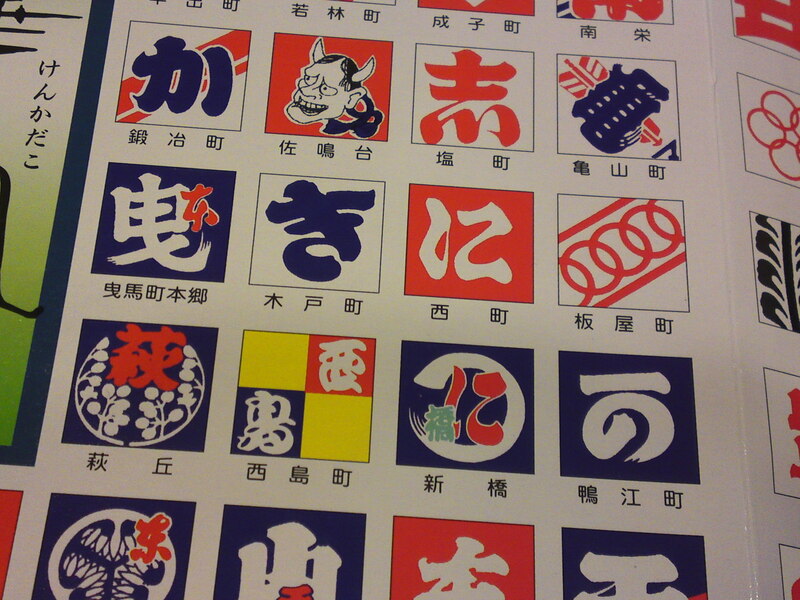 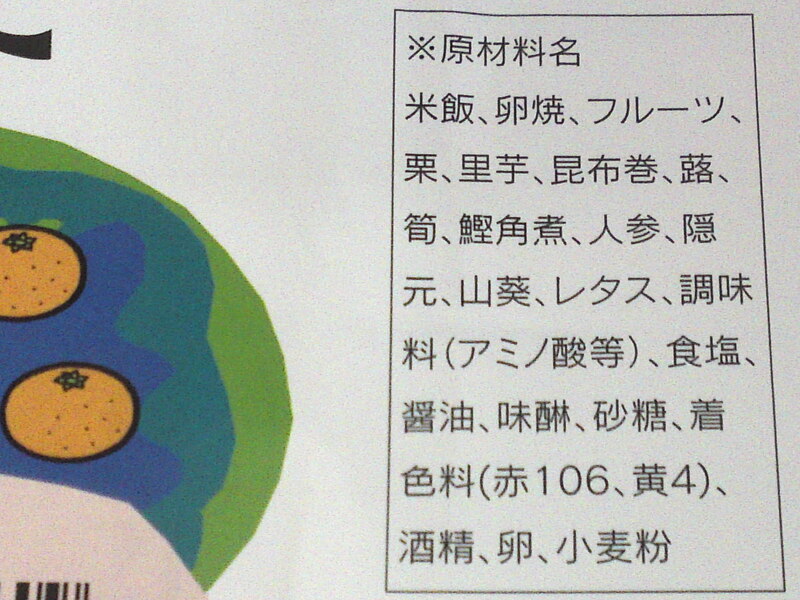 Aki Chisen/秋千扇 measn the “Thousand Fans of Autumn”. 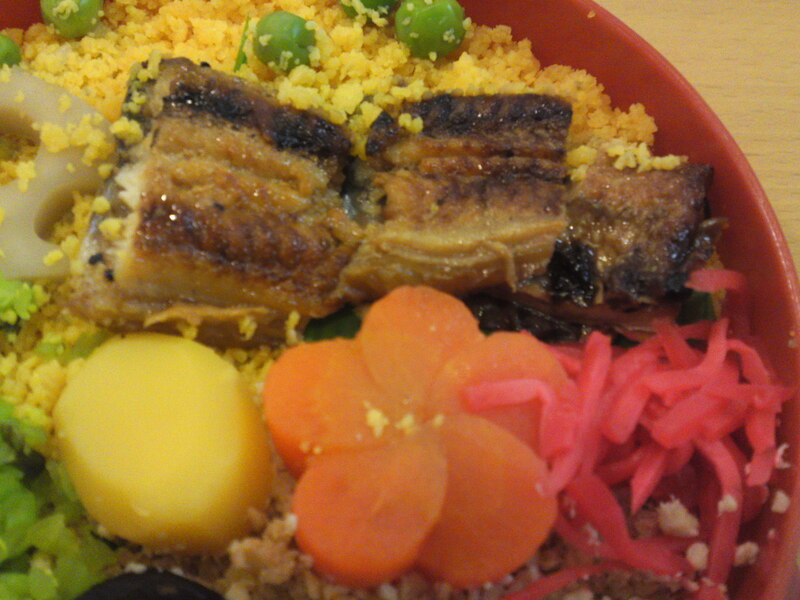 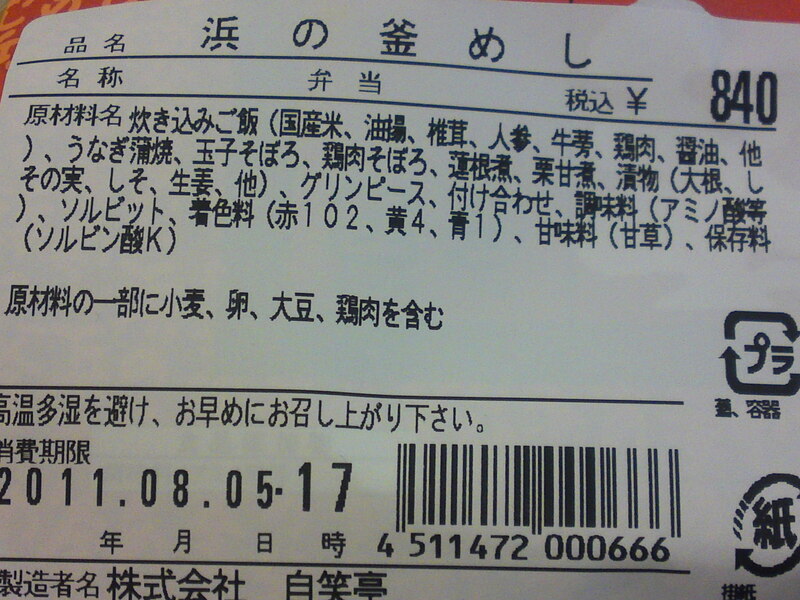 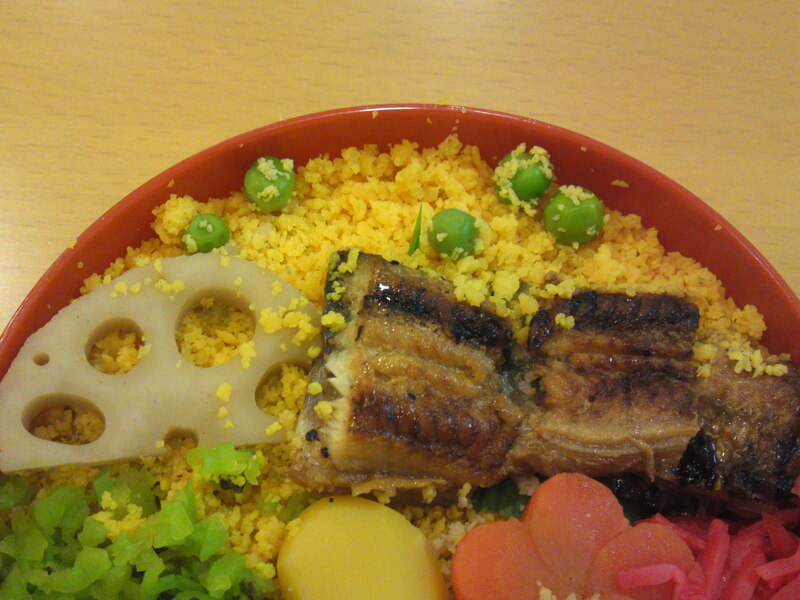 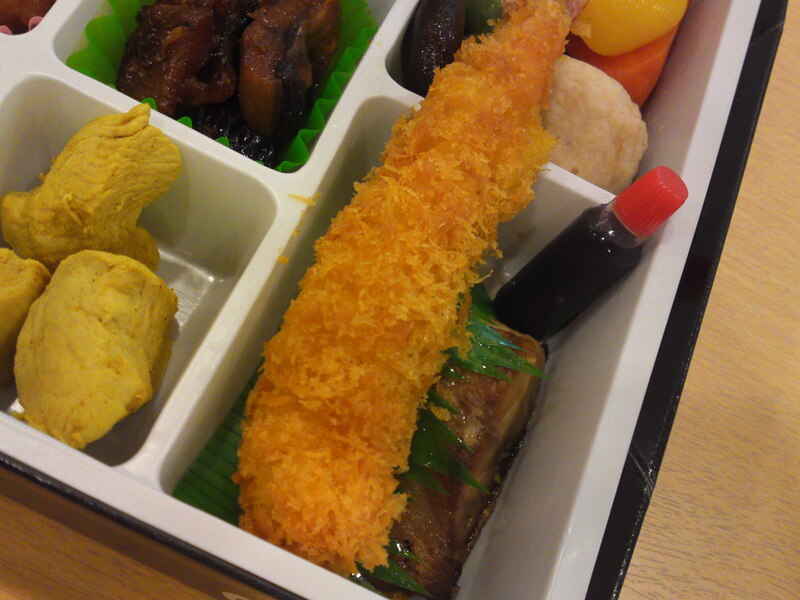 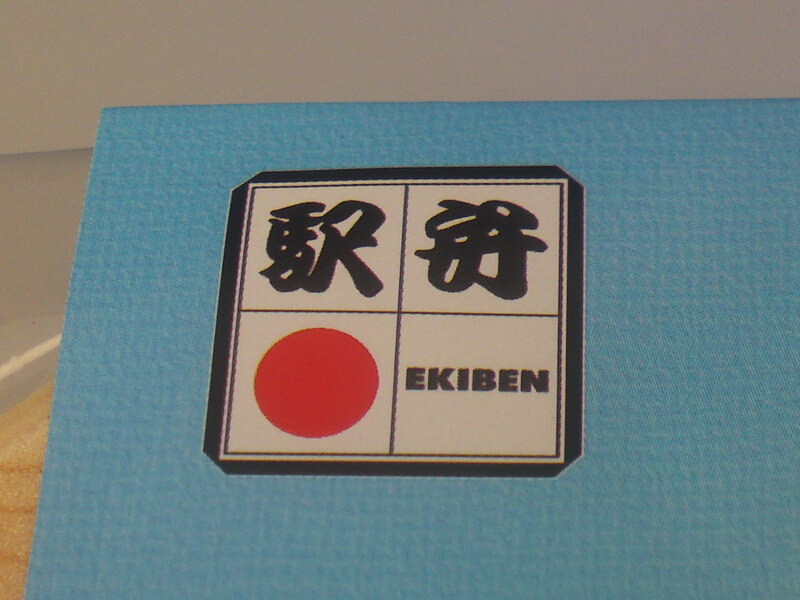 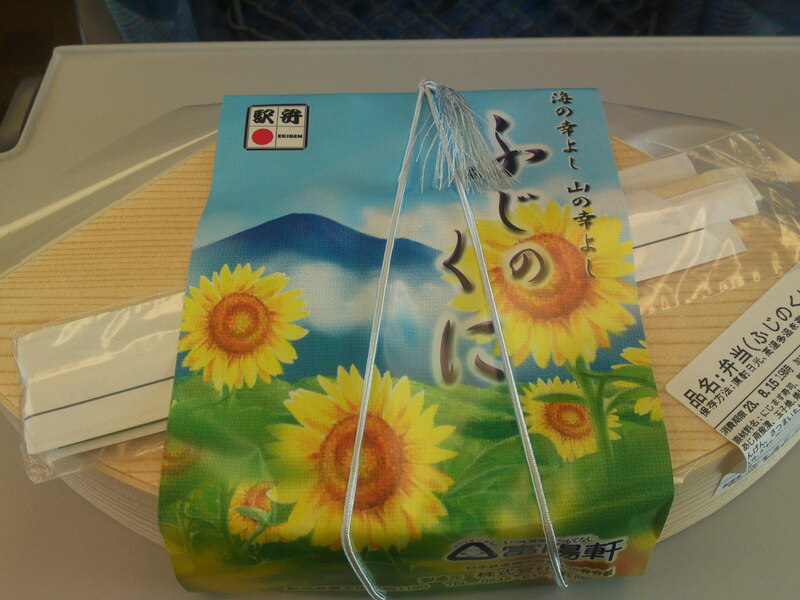 This is the third ekiben of a year-long limited series I already have introduced in Spring and Summer. 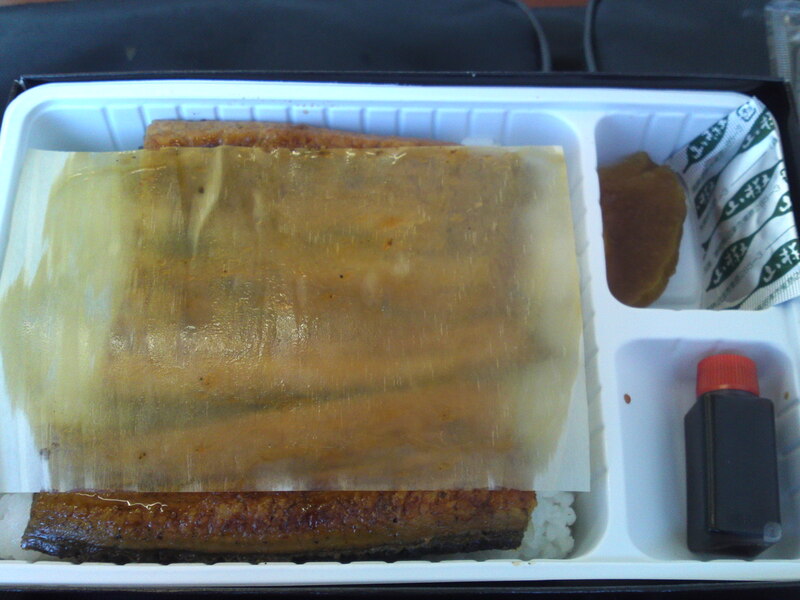 I can’t wait for the Winter edition! 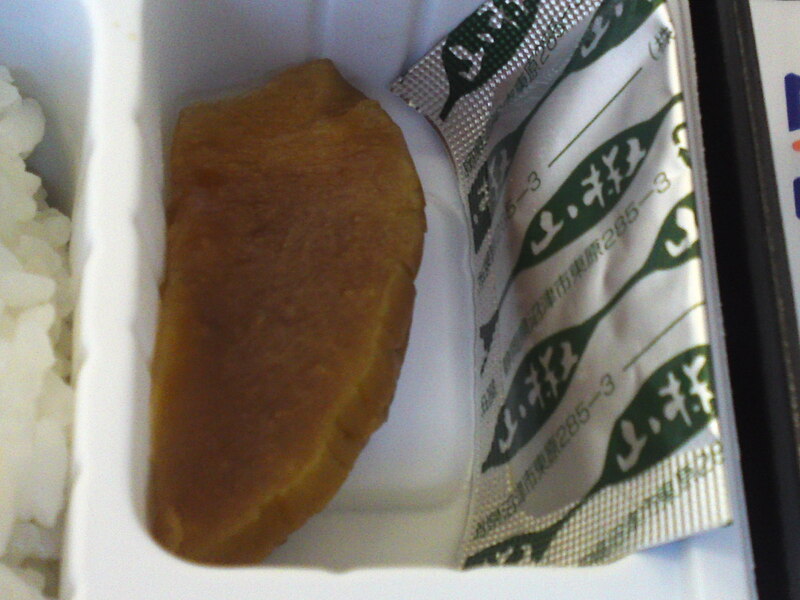 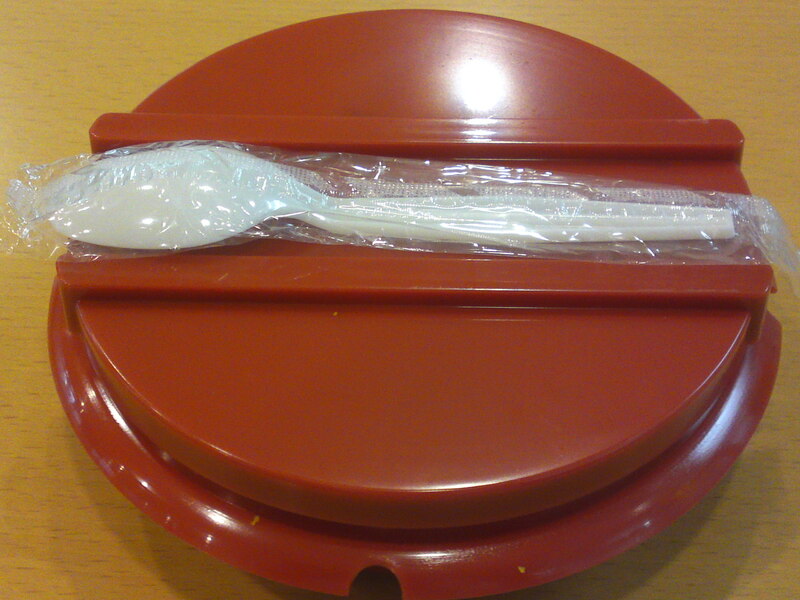 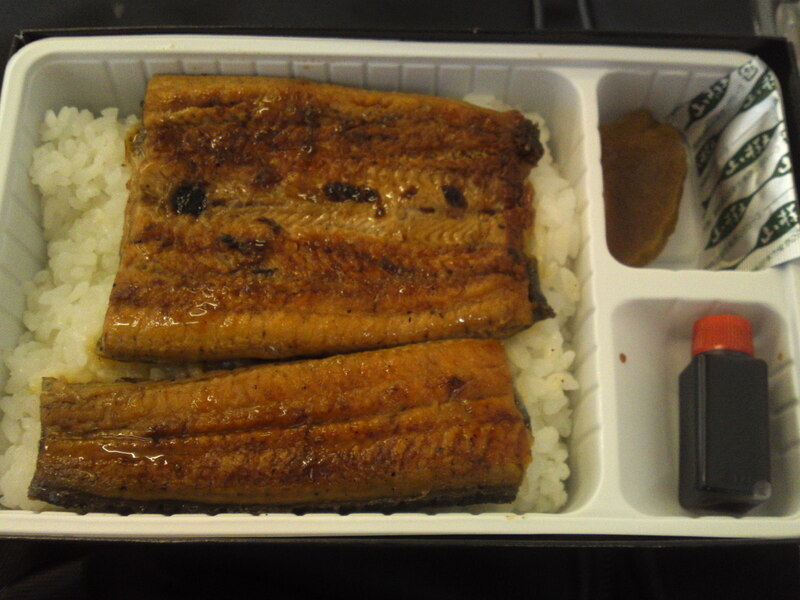 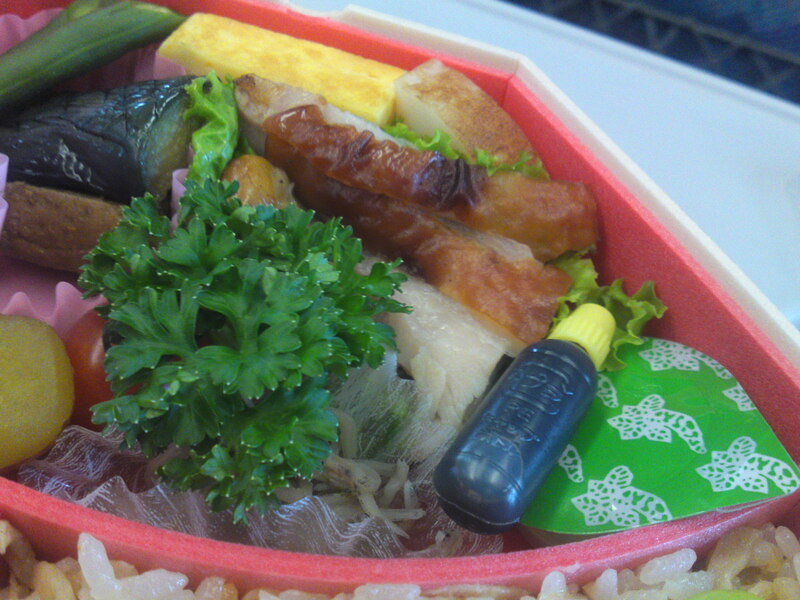 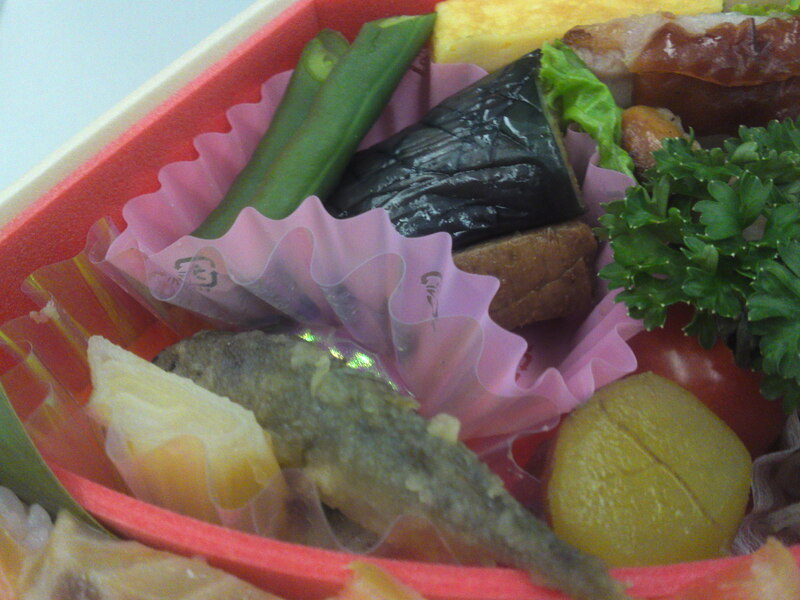 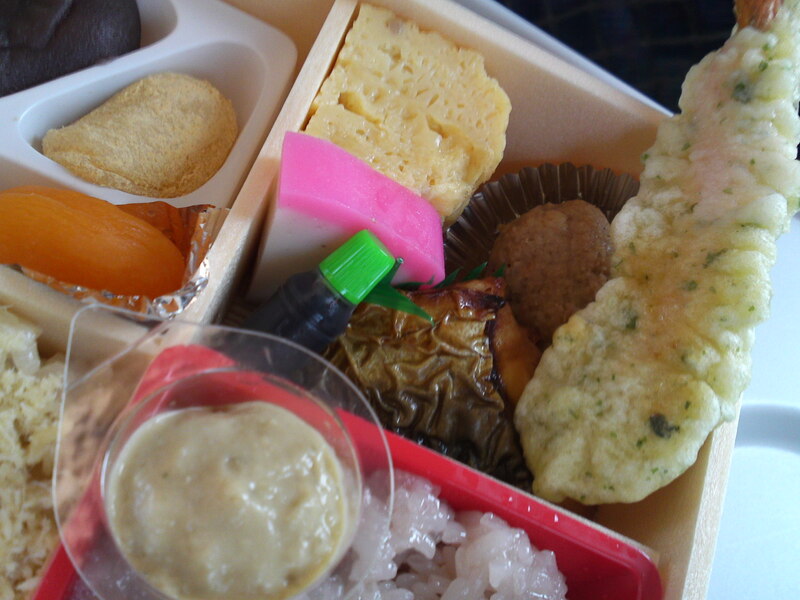 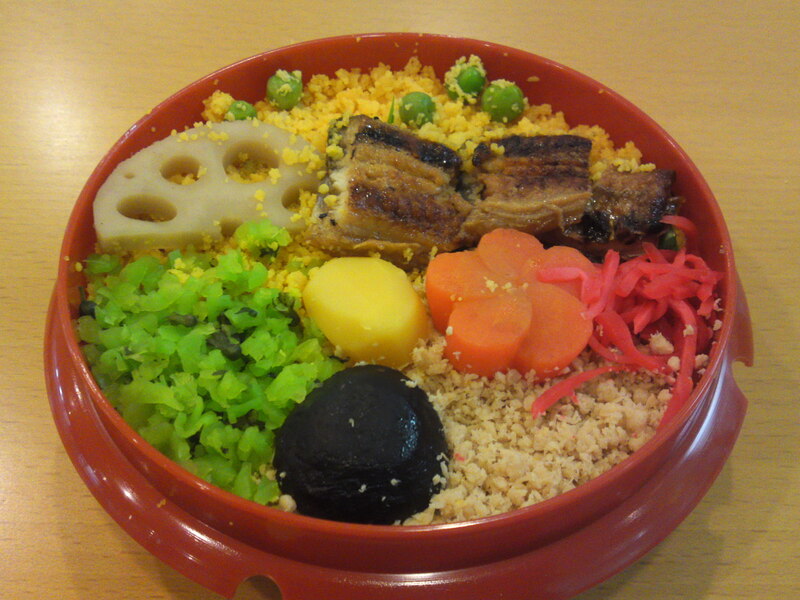 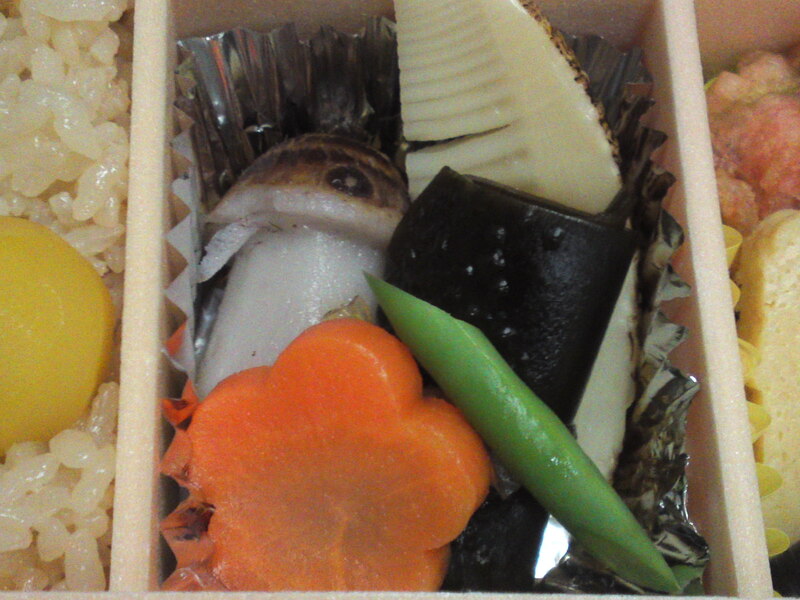 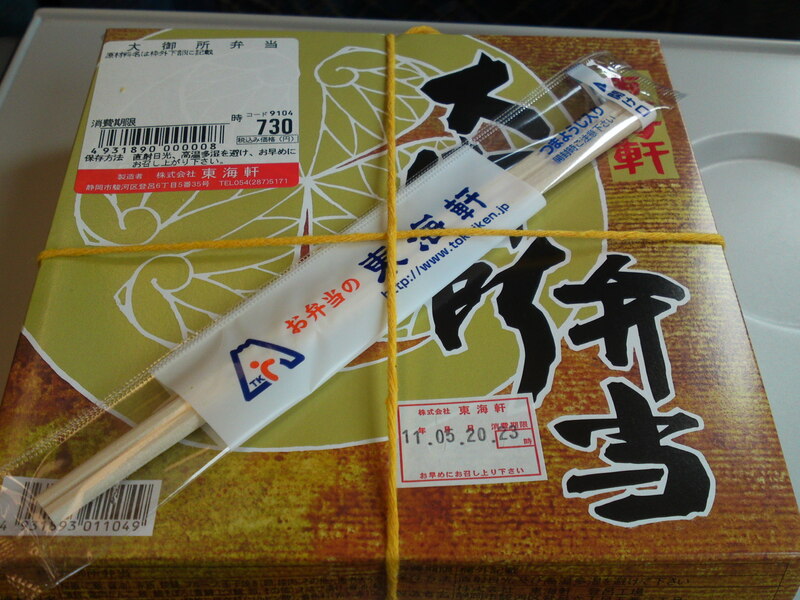 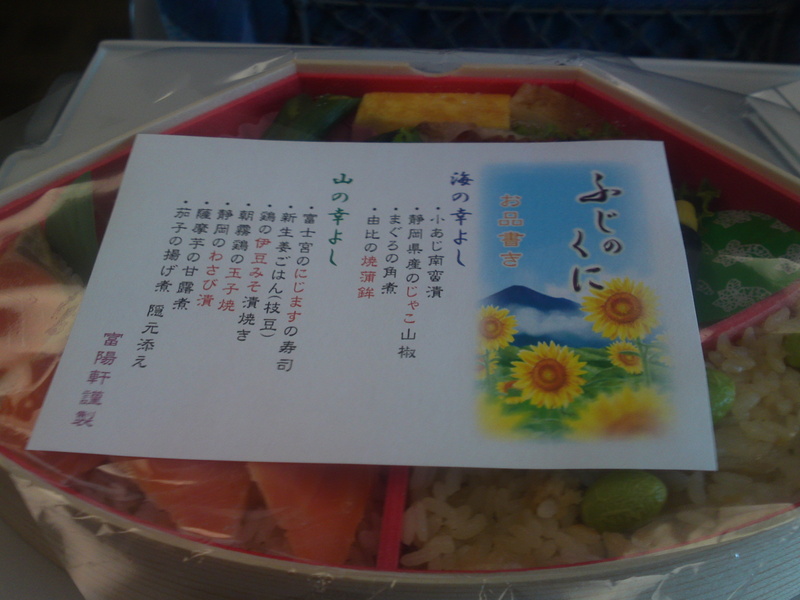 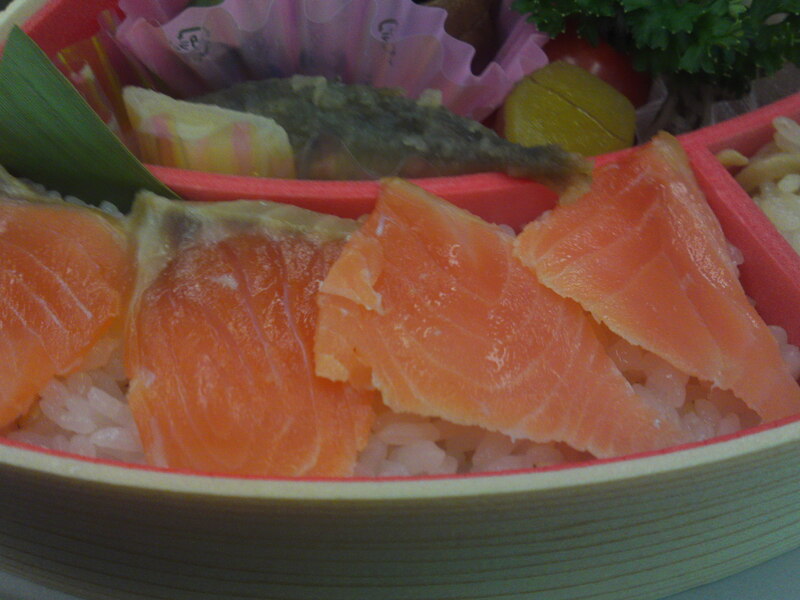 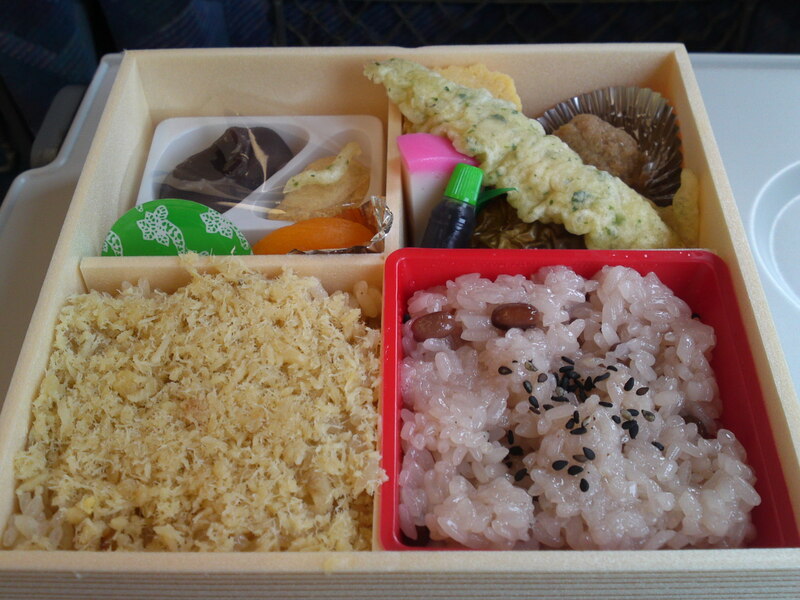 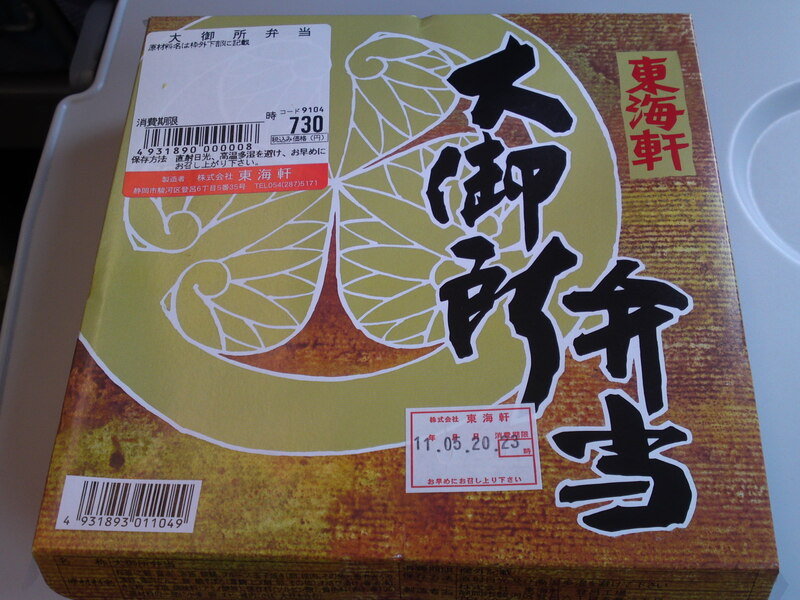 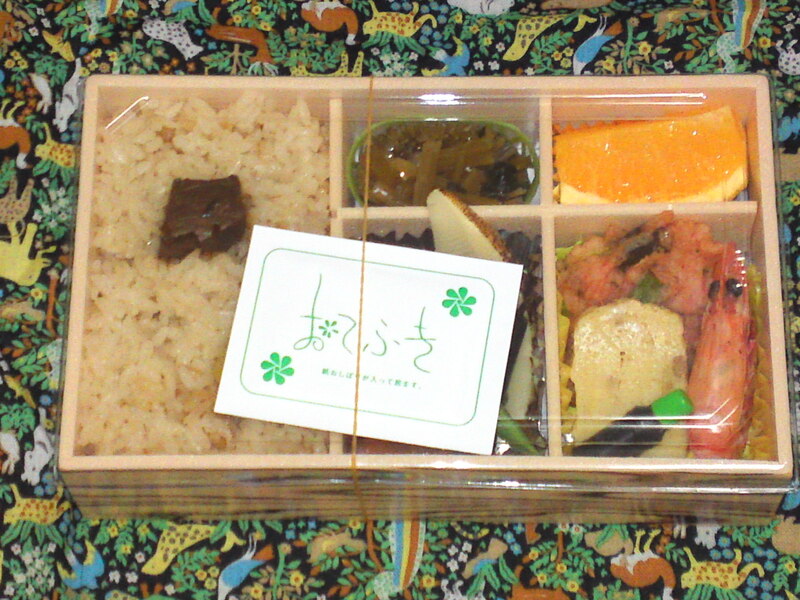 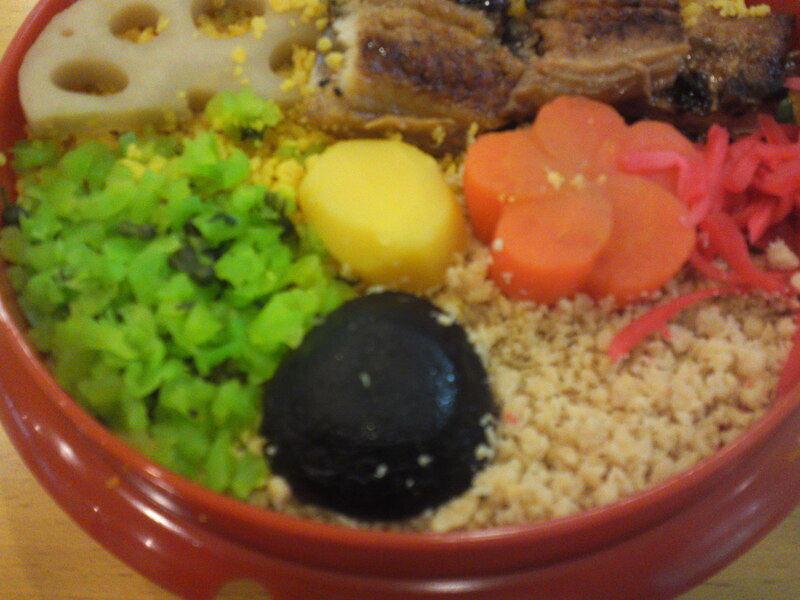 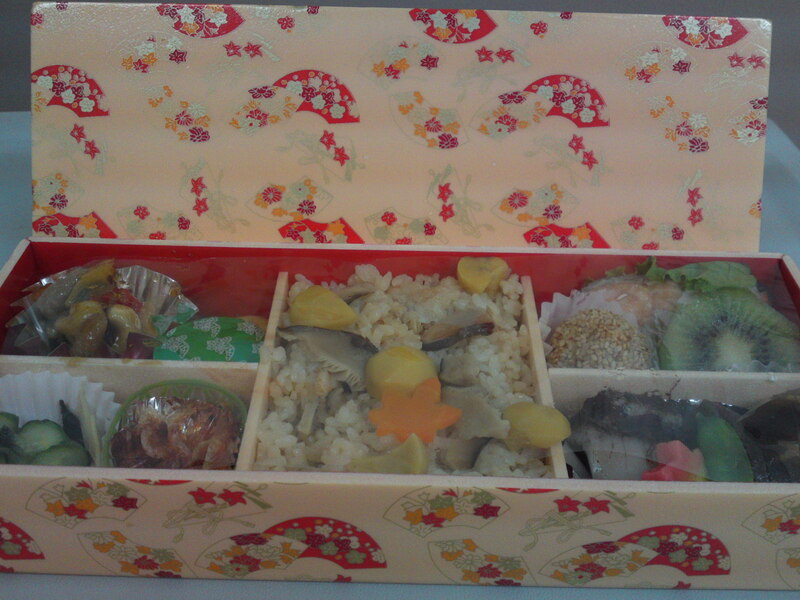 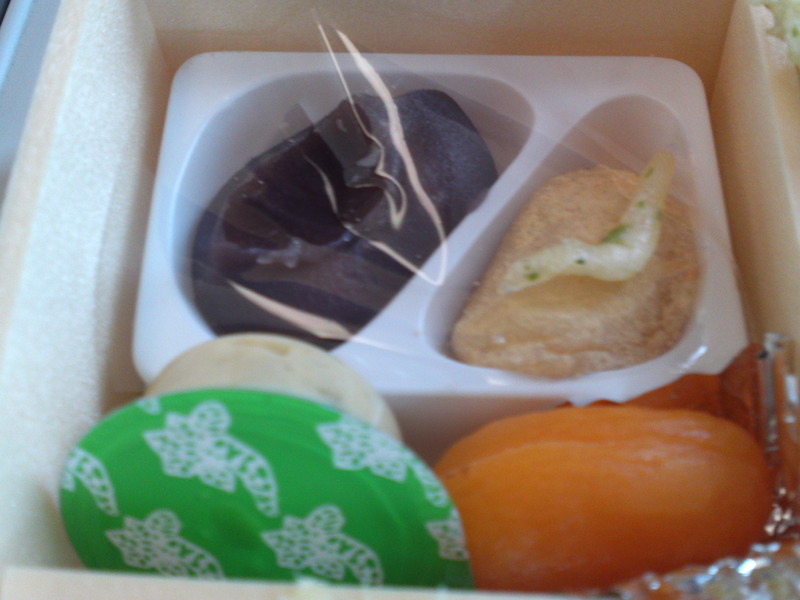 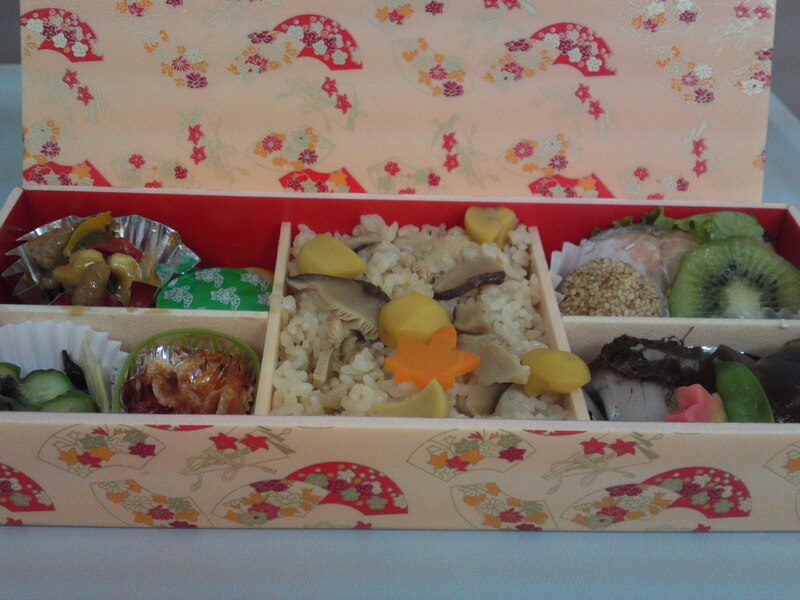 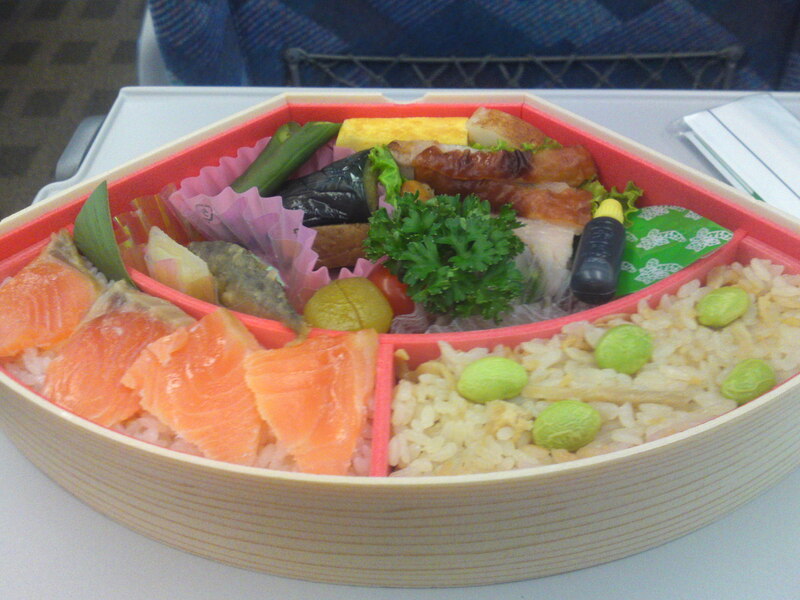 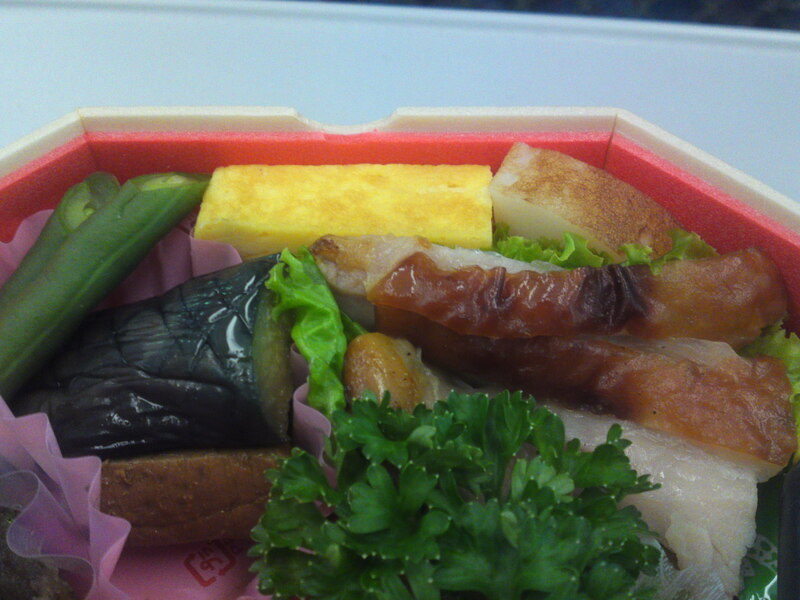 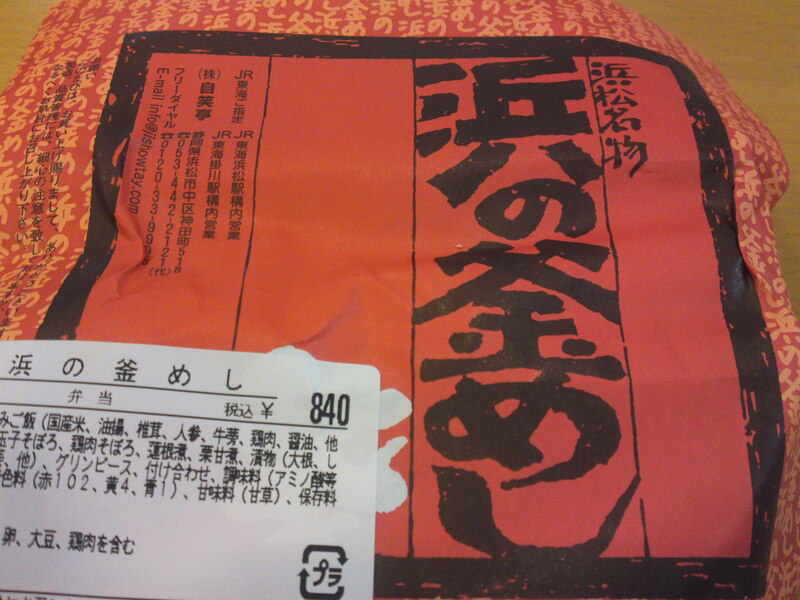 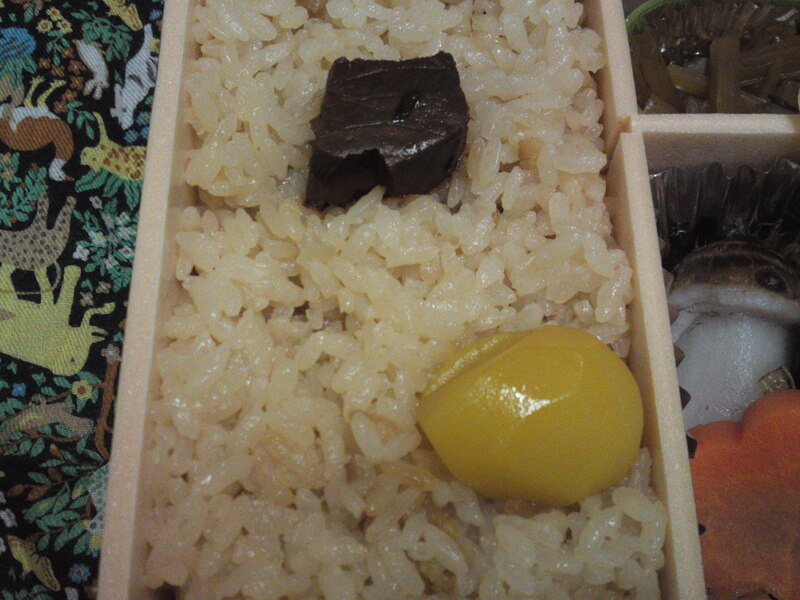 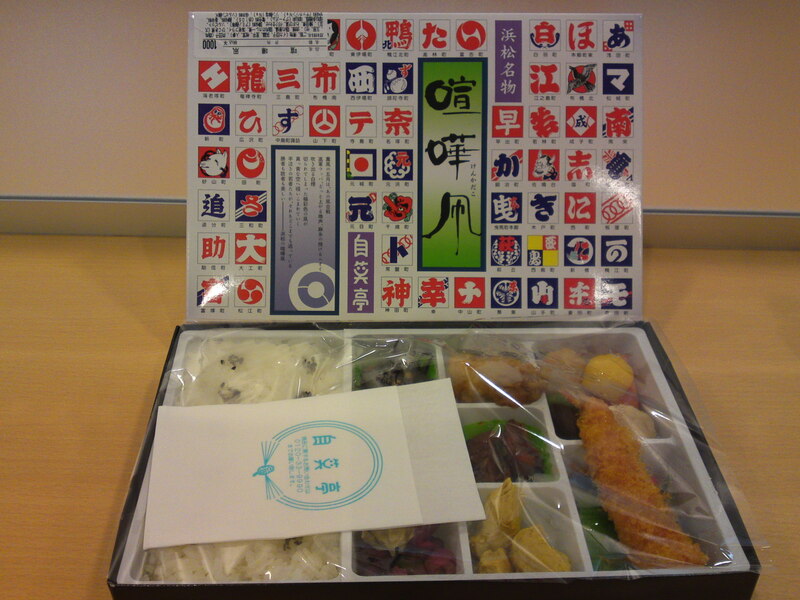 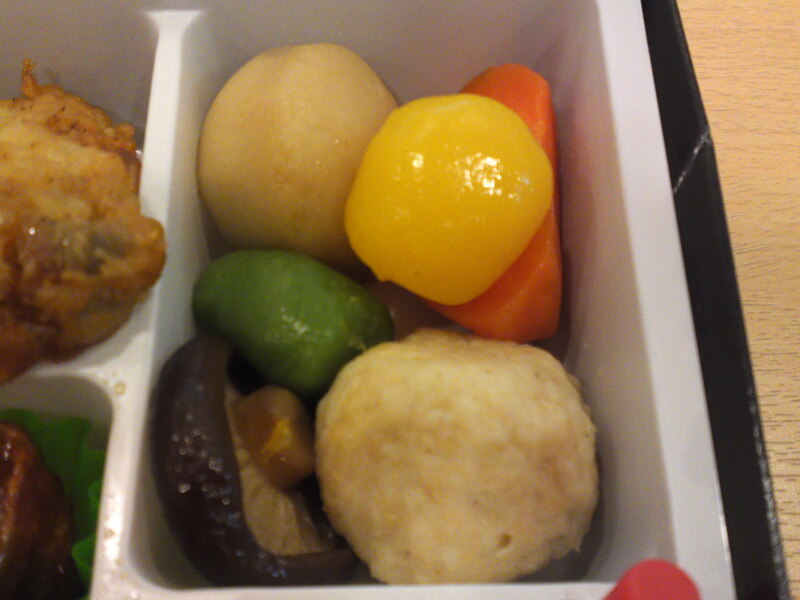 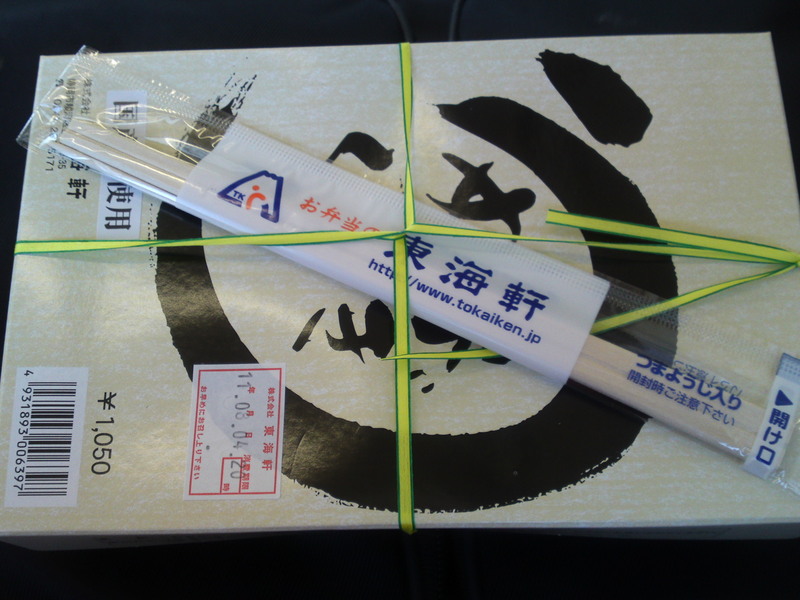 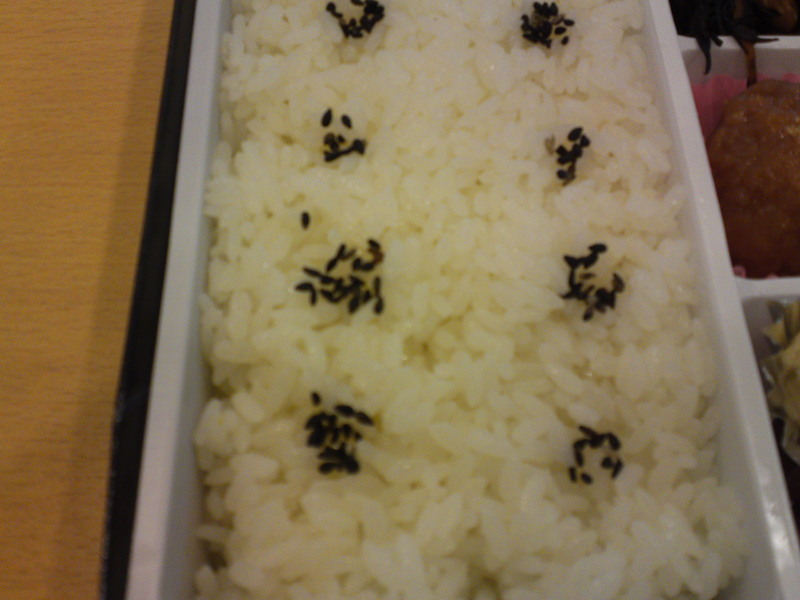 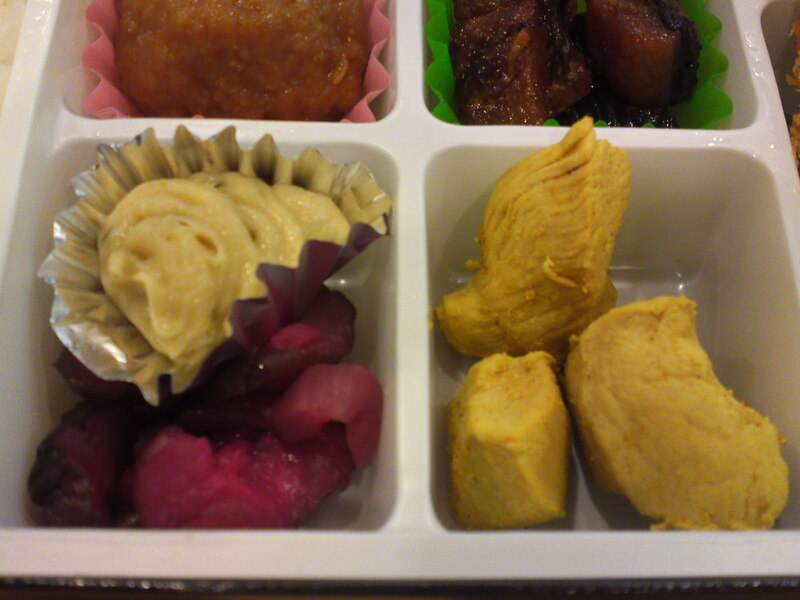 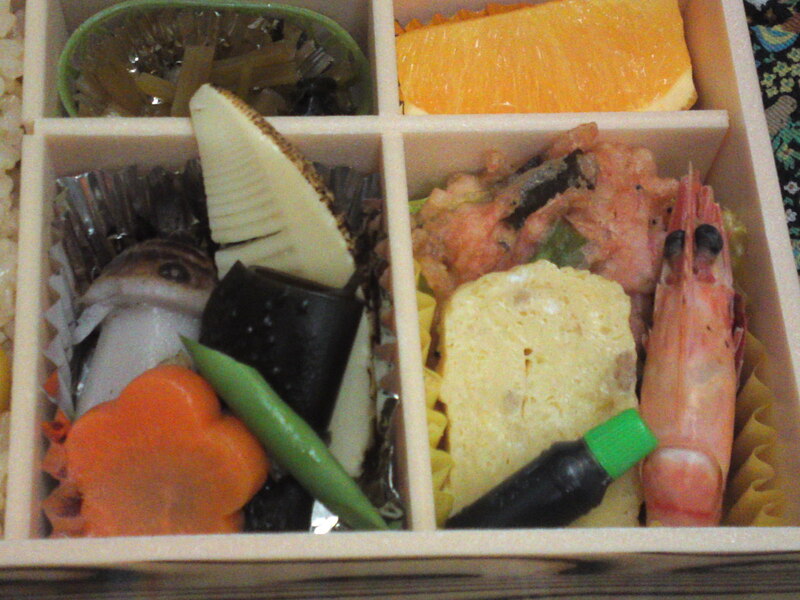 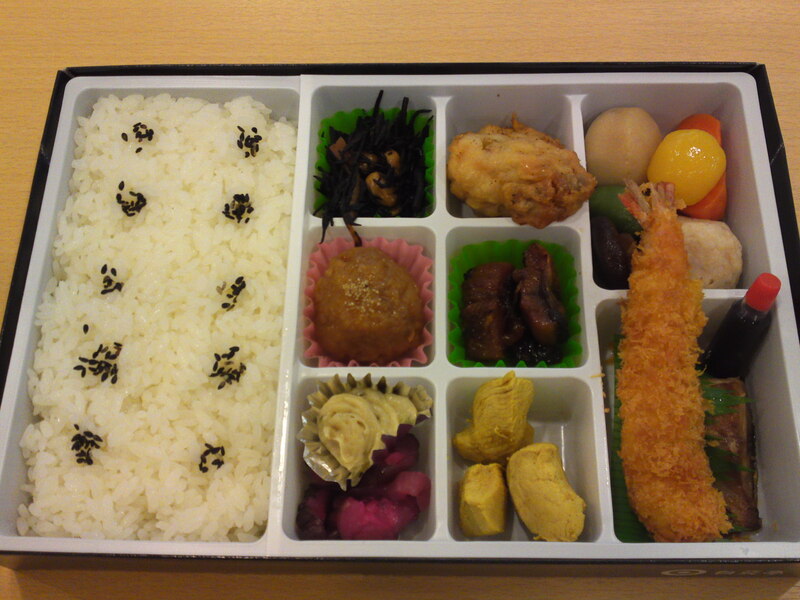 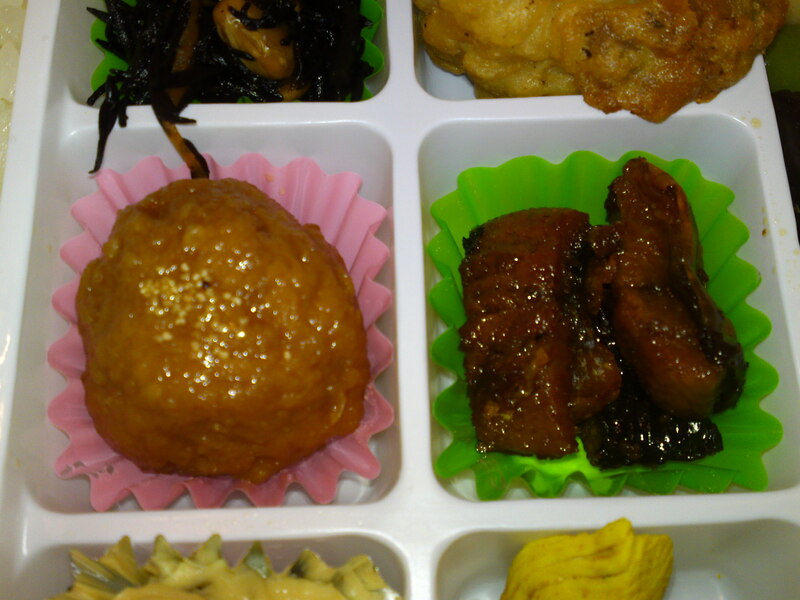 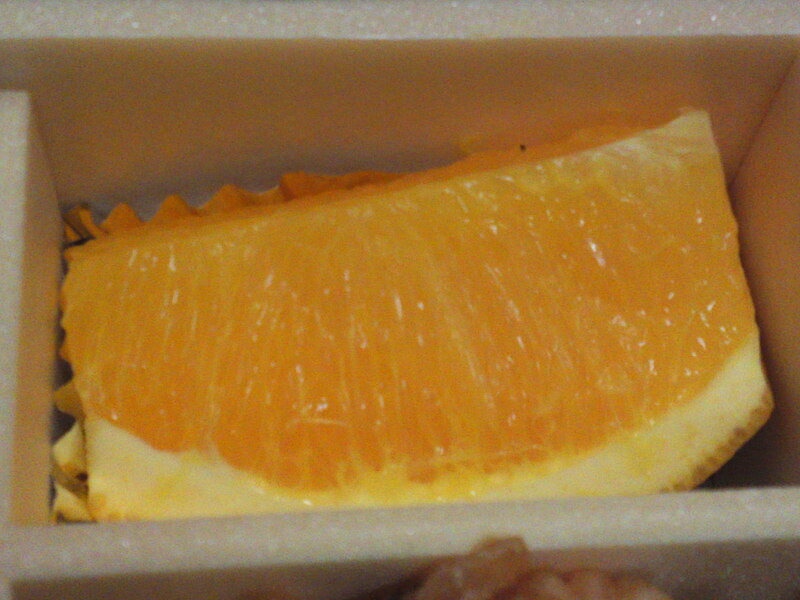 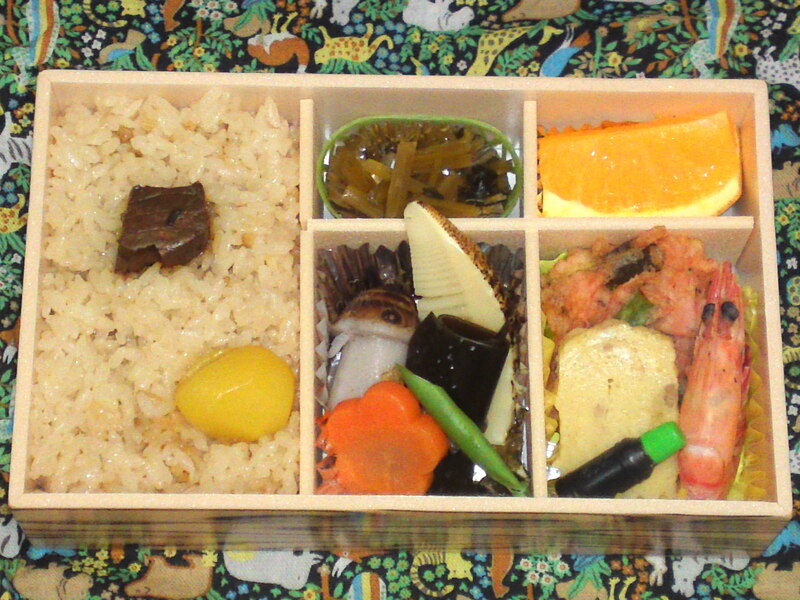 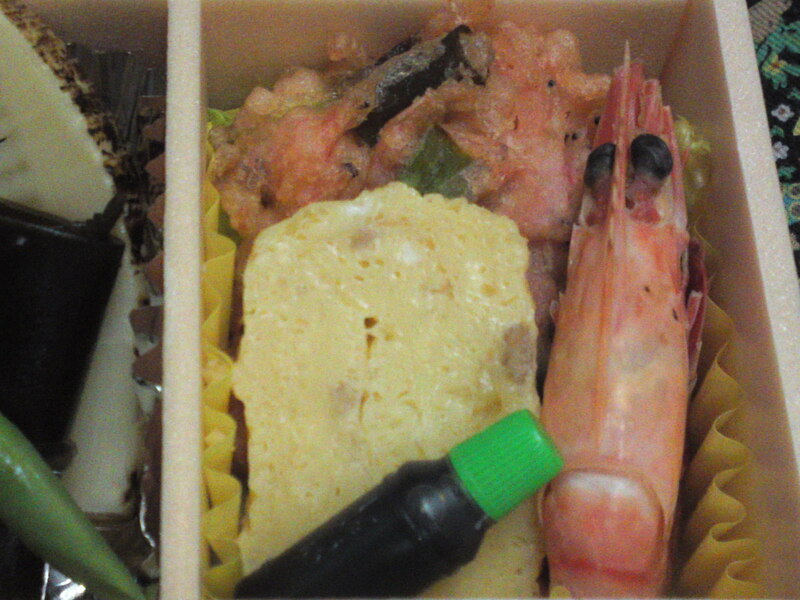 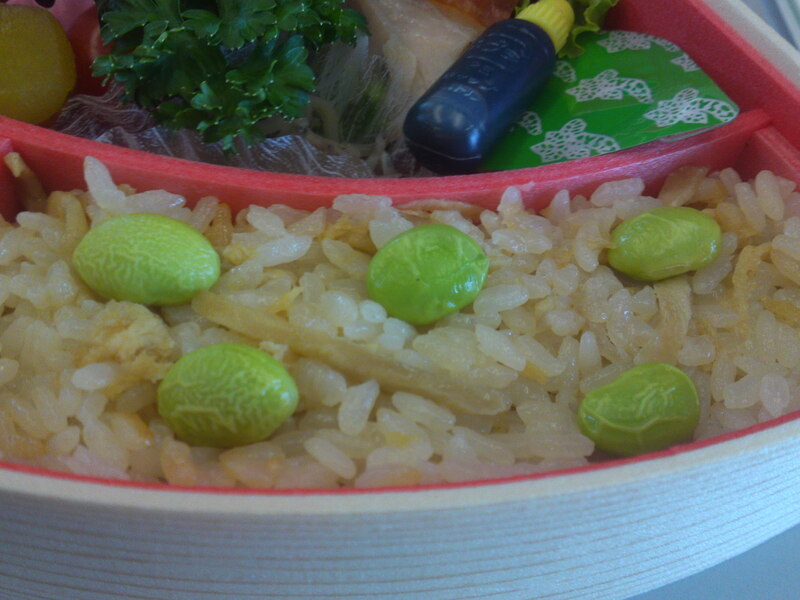 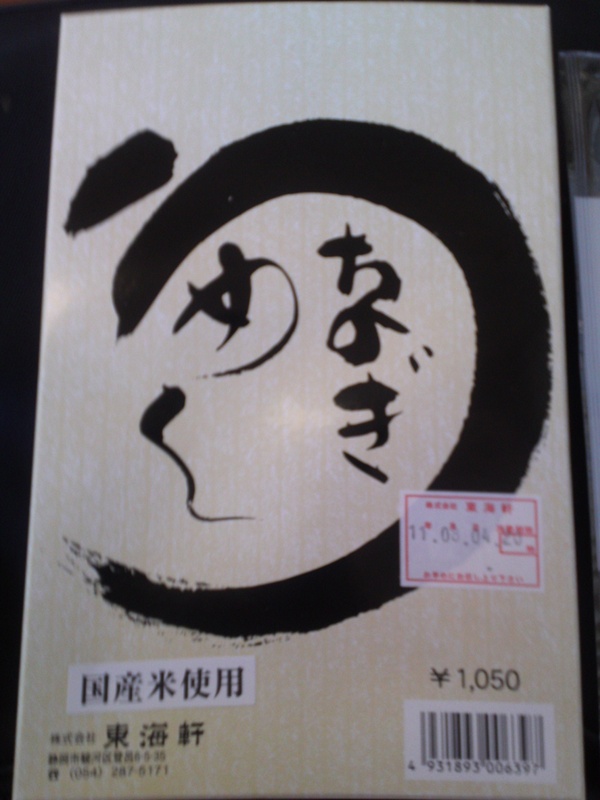 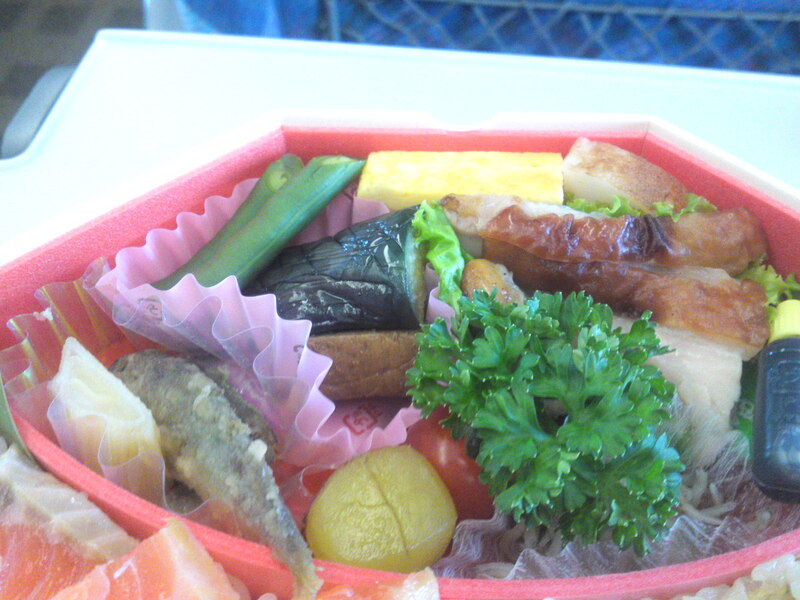 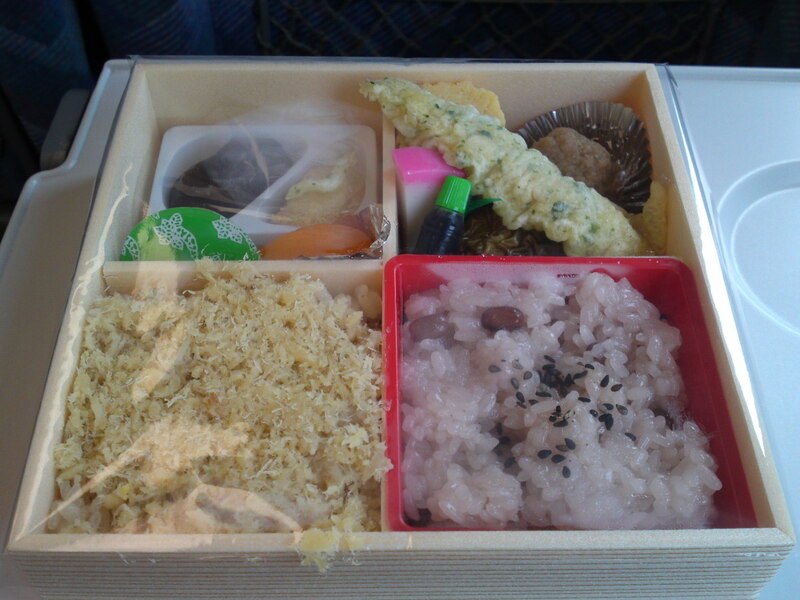 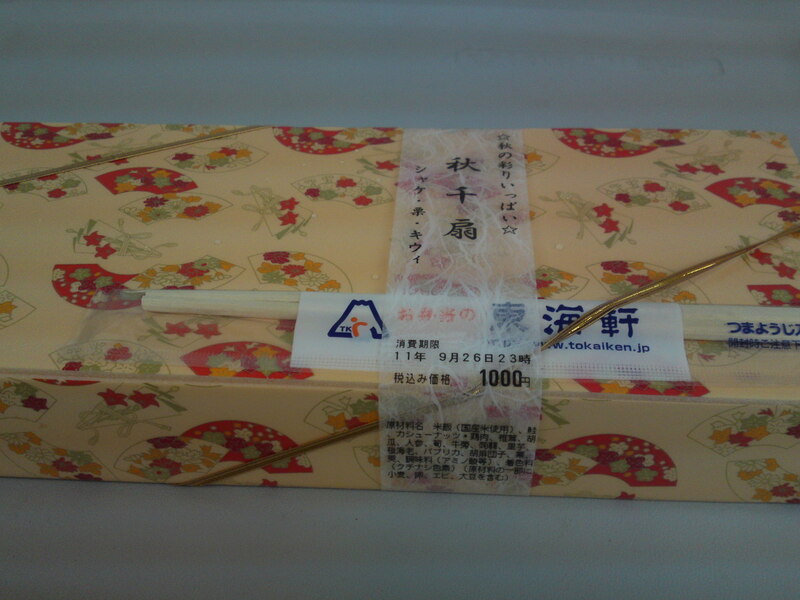 The ekiben as it was sold to me this morning at Shizuoka City Railway Station! 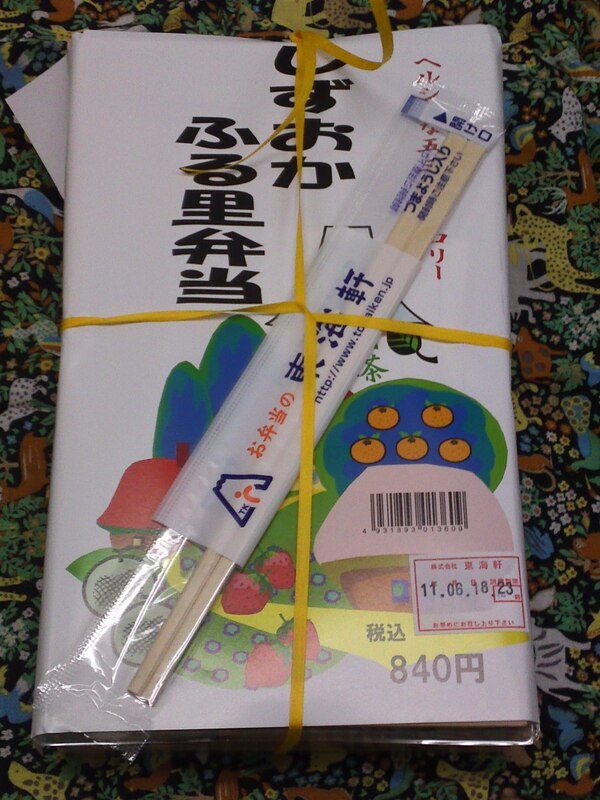 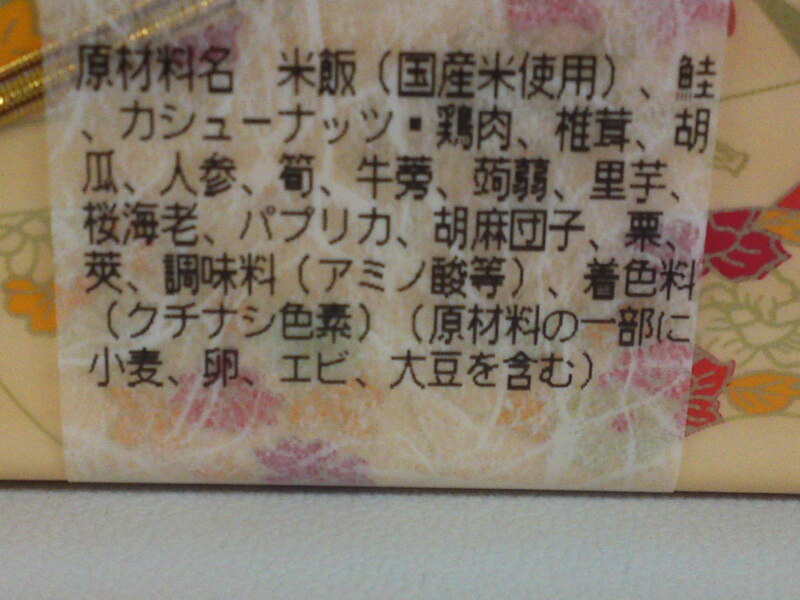 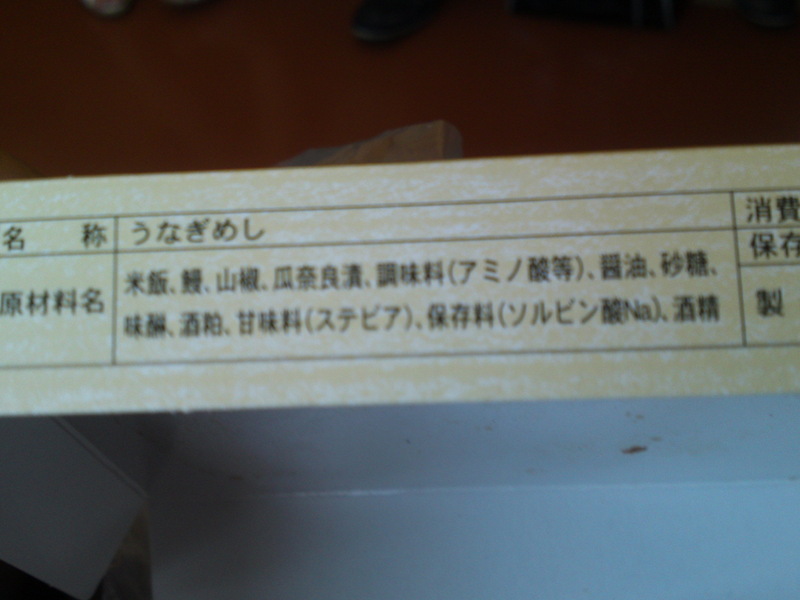 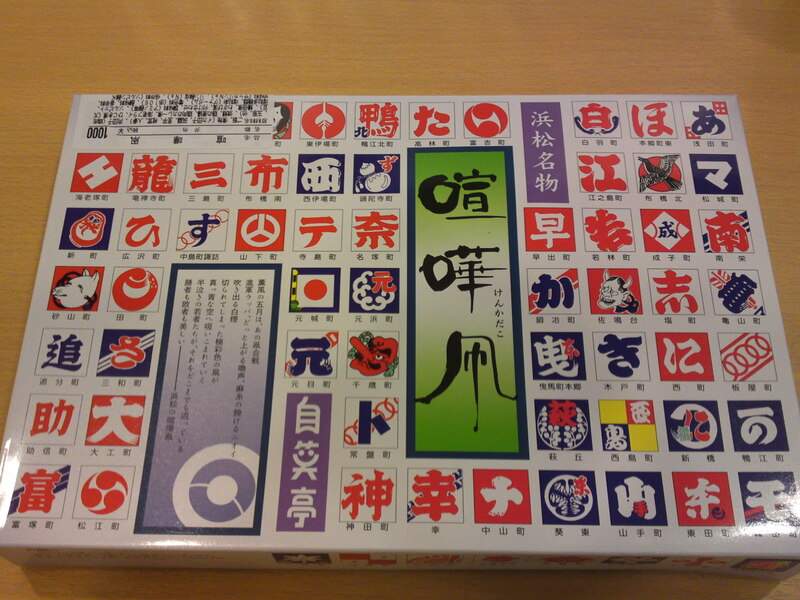 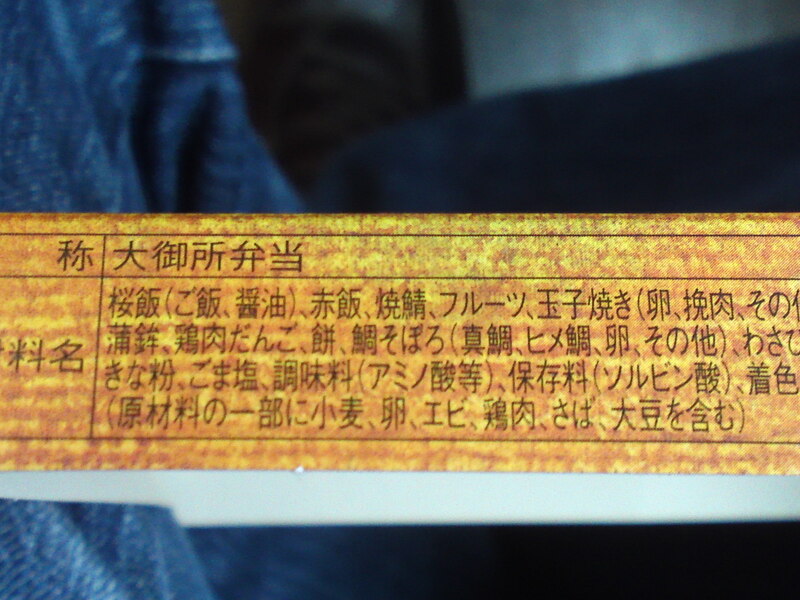 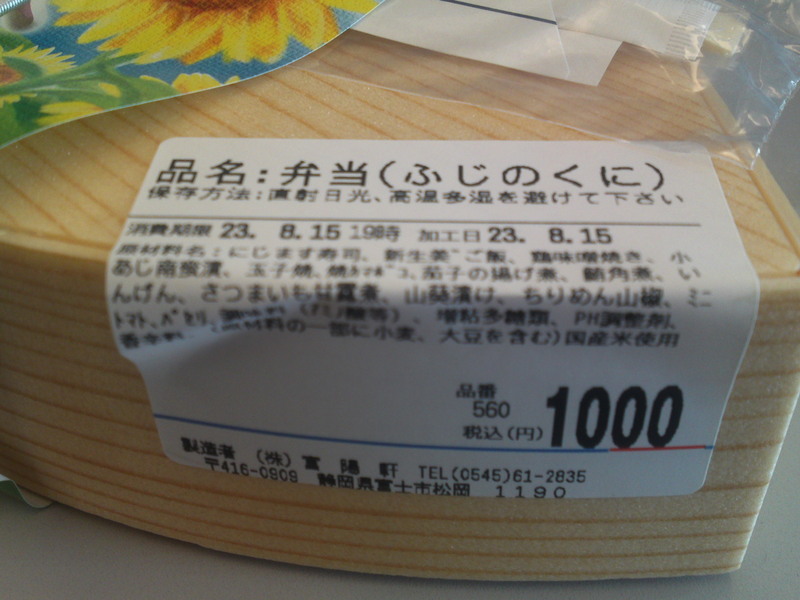 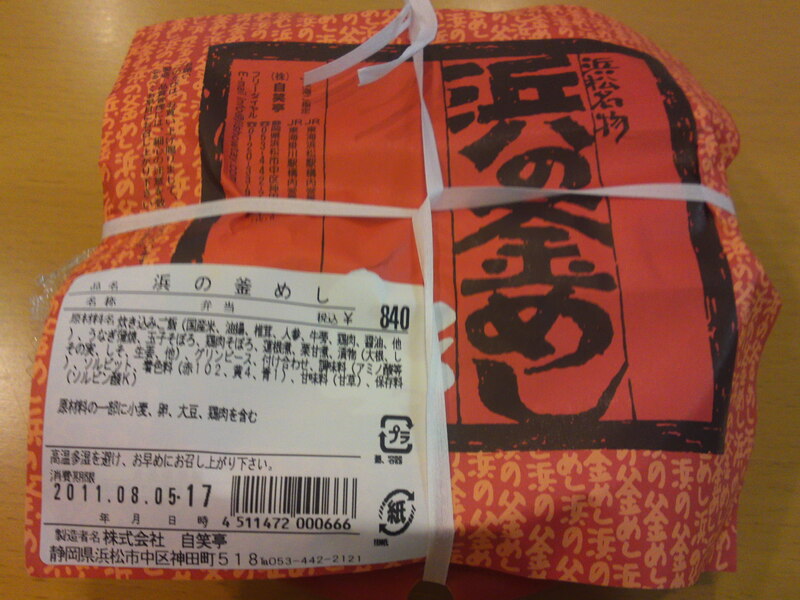 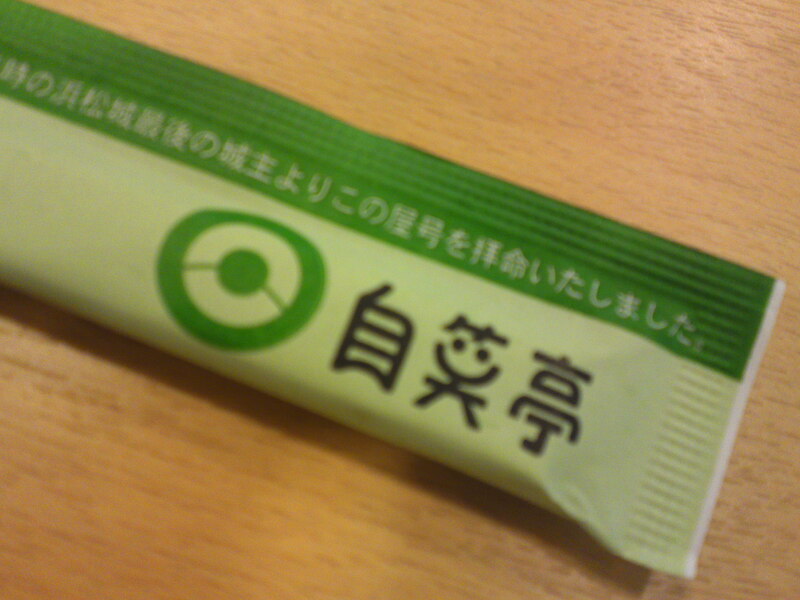 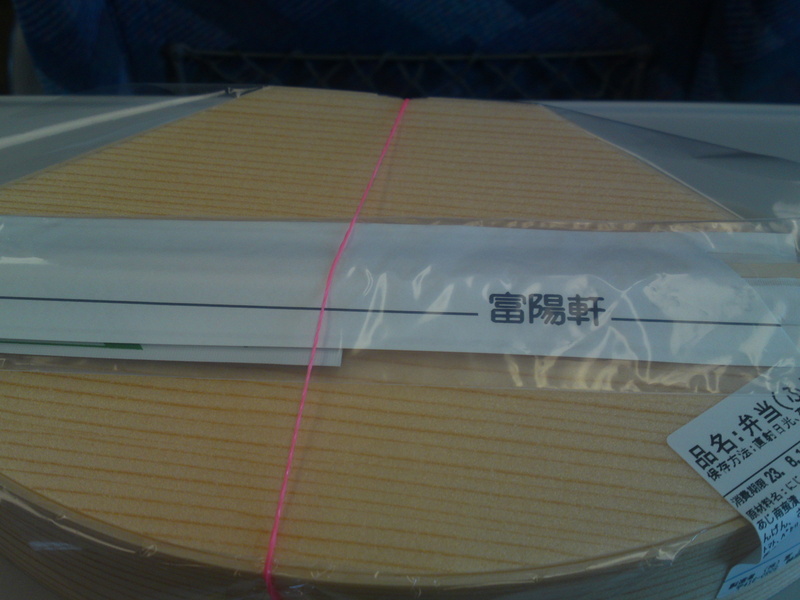 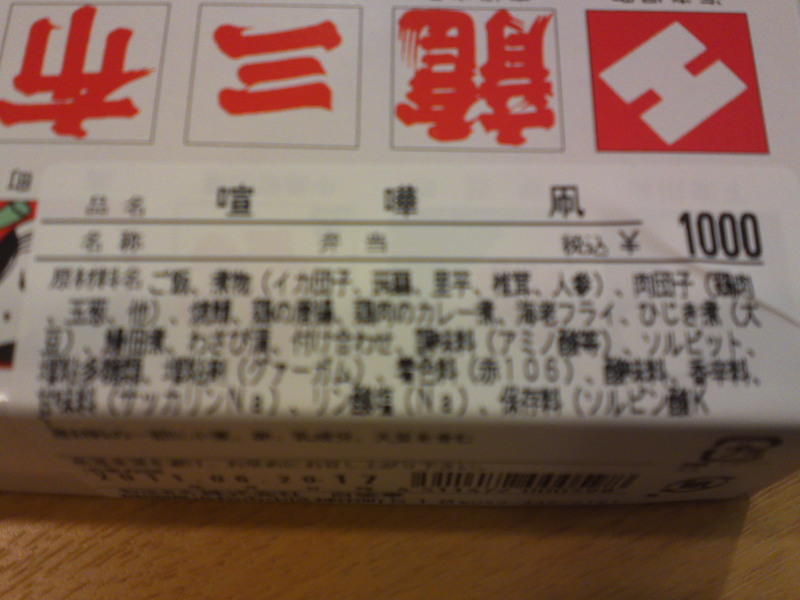 As usual Tokaiken has clearly written the contents on their wrap! 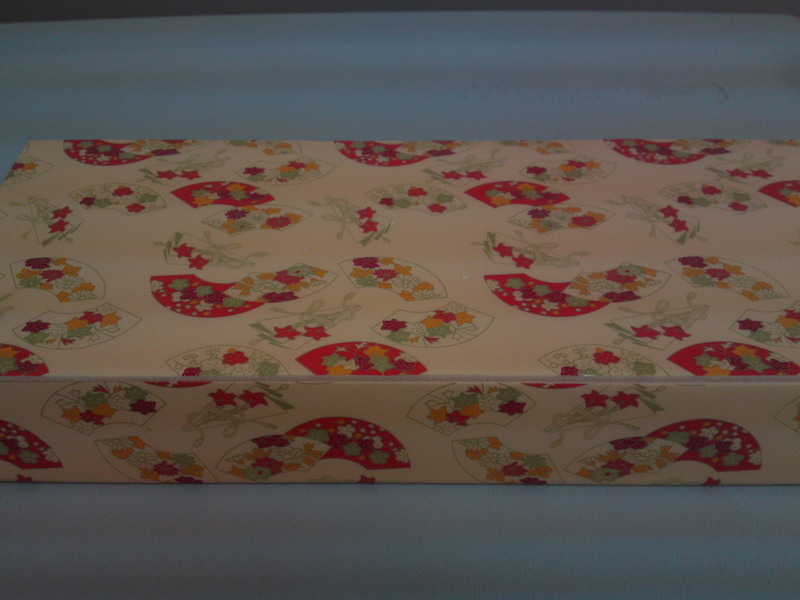 Some collectors will want this box! 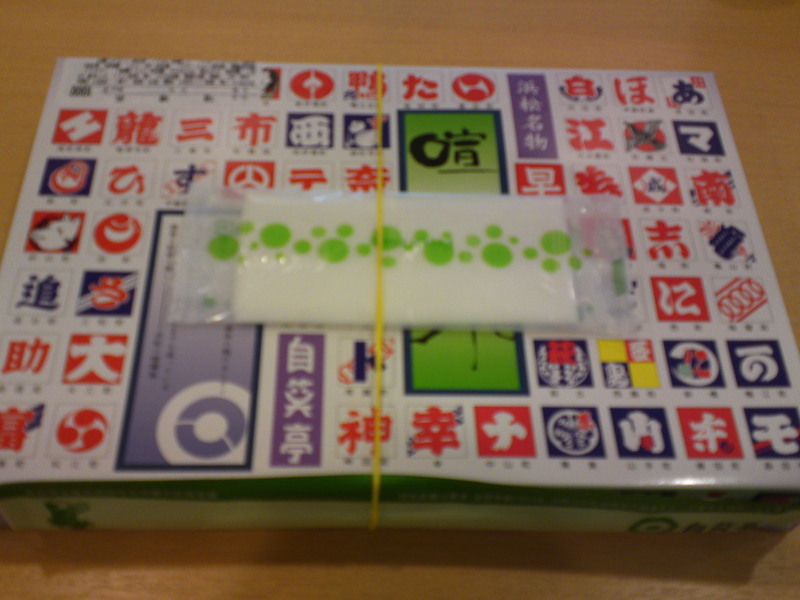 As usual a film of rigid transparent paper protects the contents! 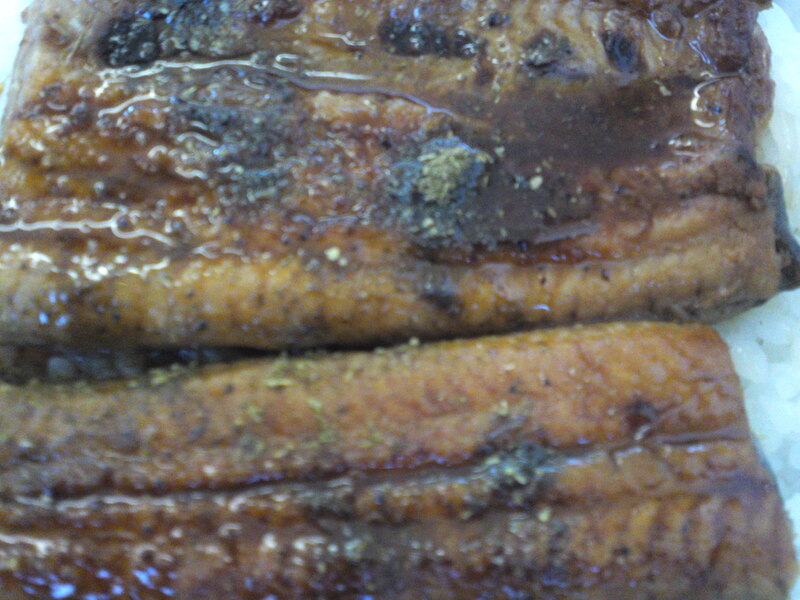 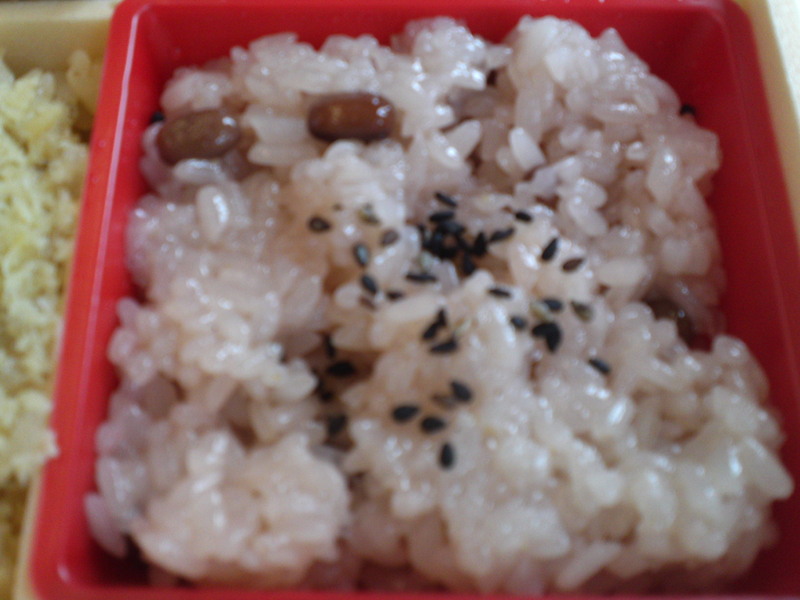 Rice steamed with the juices of shiitake, shiitake mushroom, chestnuts and carrots. 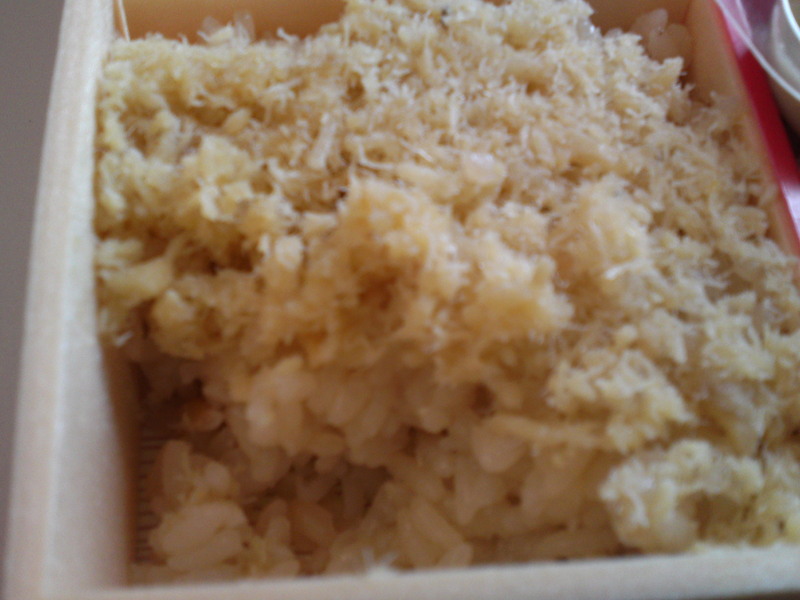 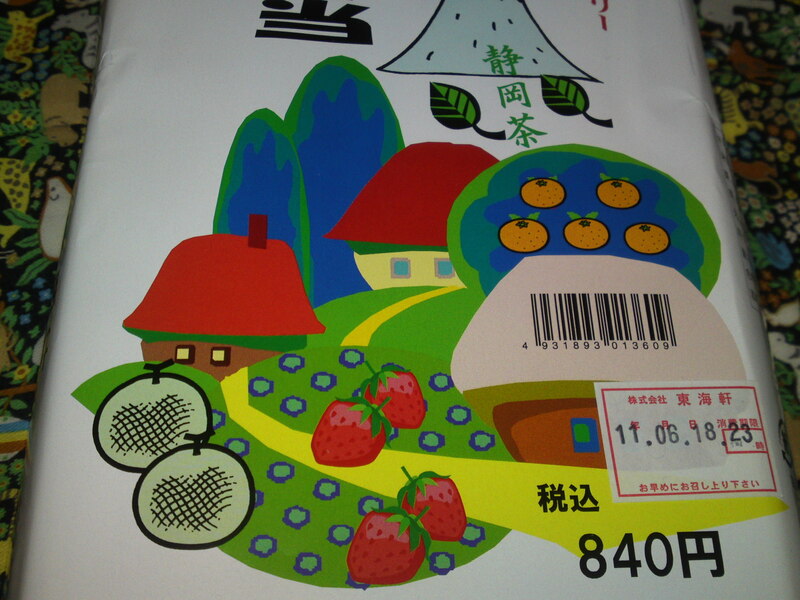 The Japanese love chestnuts with rice! 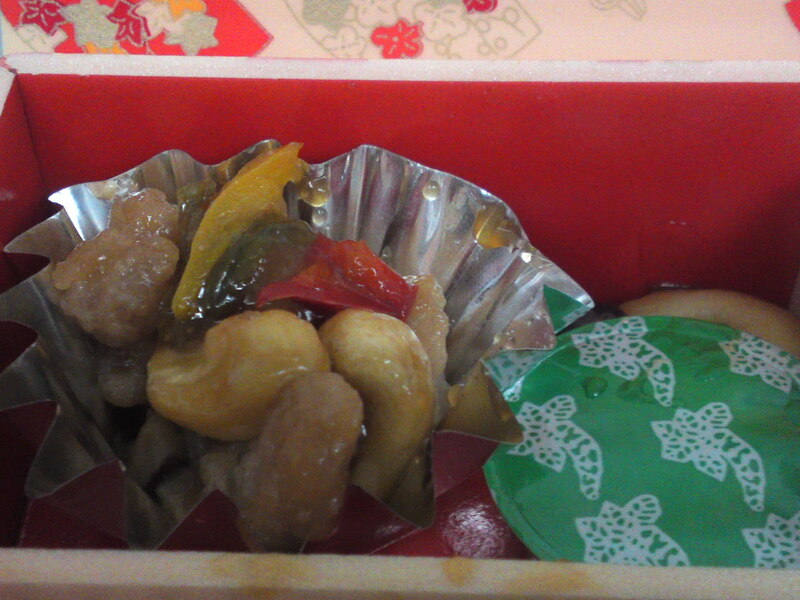 Chinese-style sweet and sour cashew nuts, chicken and red and green pepper. 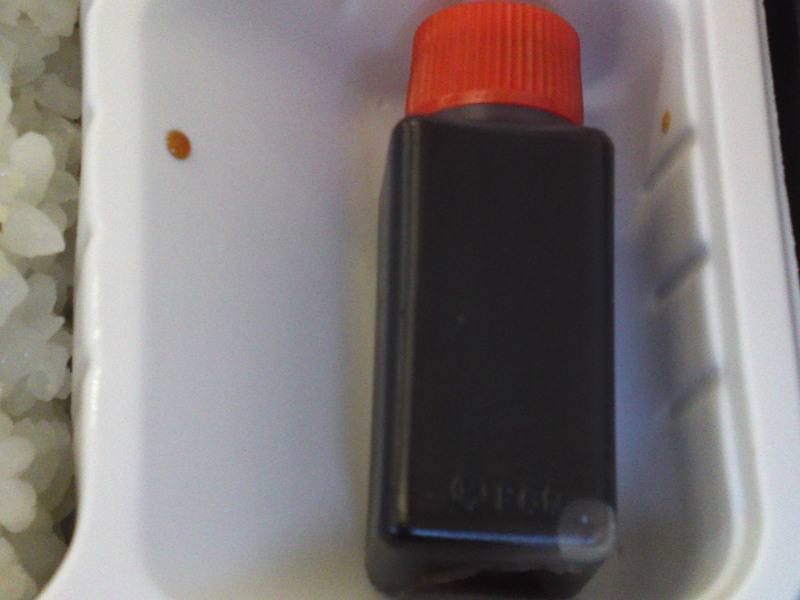 A small bottle of soy sauce and a small cup of wasabizuke/wasabi leaves and stems pickled in sake white lees. 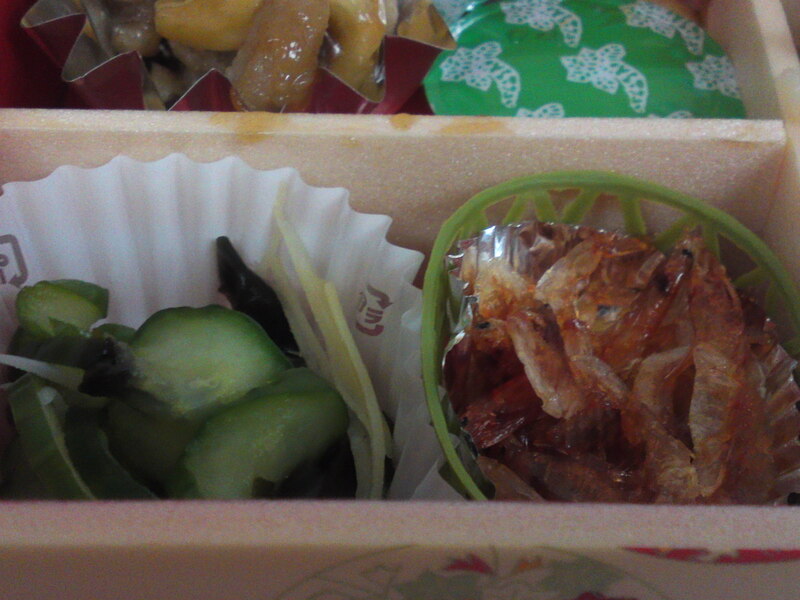 Cucumber, fresh ginger and wakame seaweed marinade. 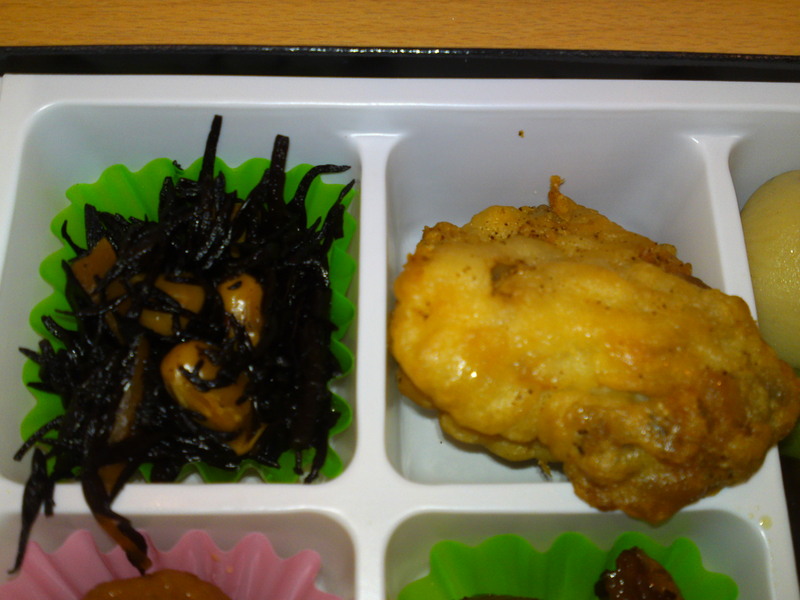 Deep-fried sakura shrimps. 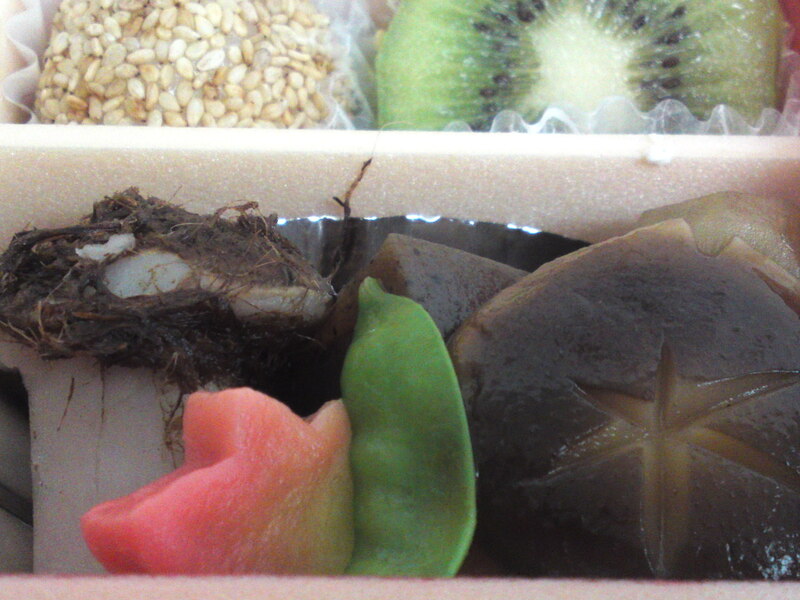 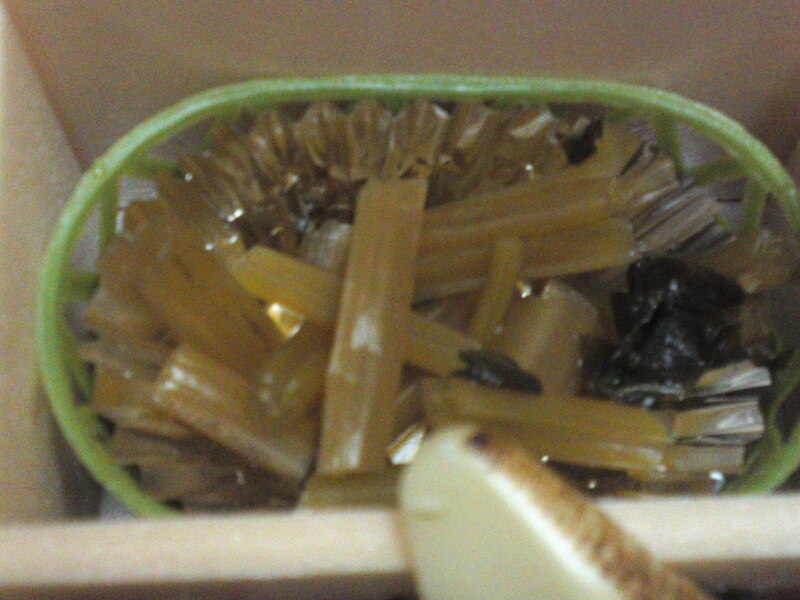 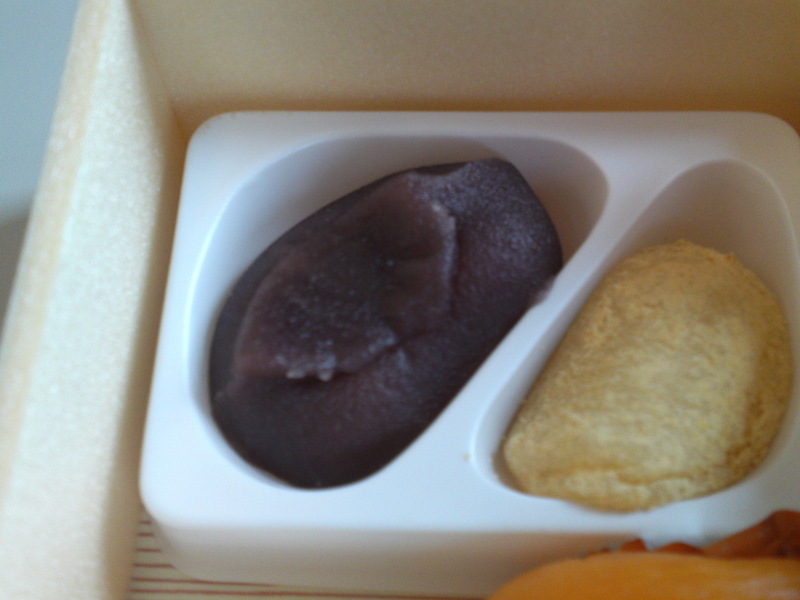 Taro/sato imo boiled and cut in the shape of a mushroom, tofu flower, steamed shiitake mushroom, Carrot, konnyaku jelly and gobo/burdock root. 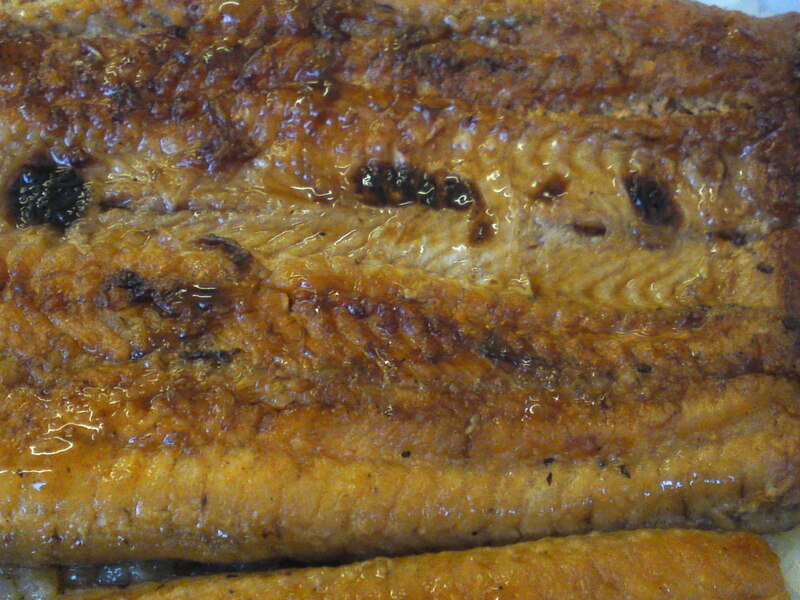 Salmon deep-fried in cornstarch and lettuce. 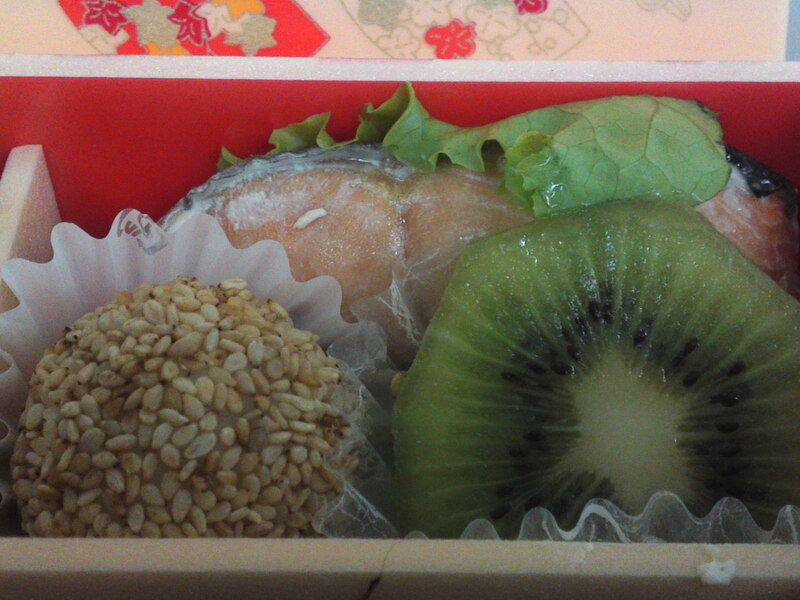 Dessert consisted of a goma dango/sesame ball containing sweatmeat and mochi rice and rolled into sesame seeds before being deep-fried and a slice of kiwi fruit! 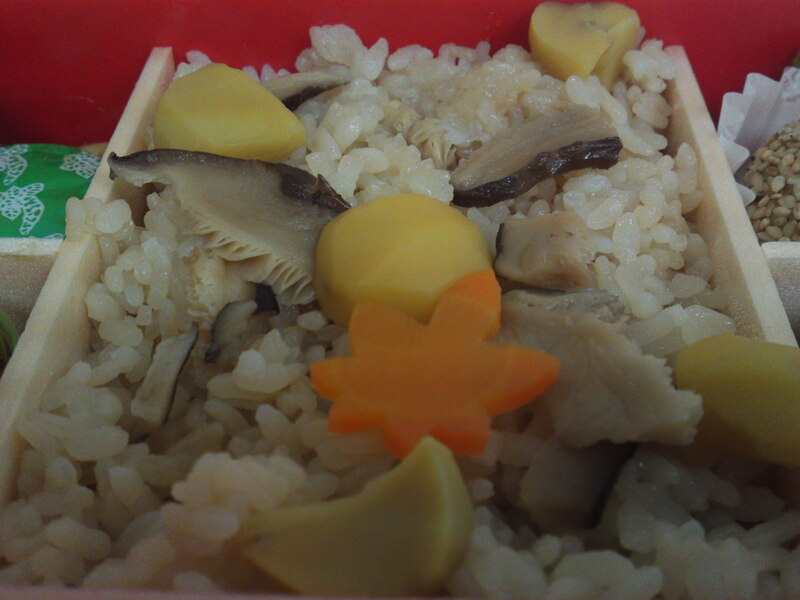 Nice way to learn about Autumn food!